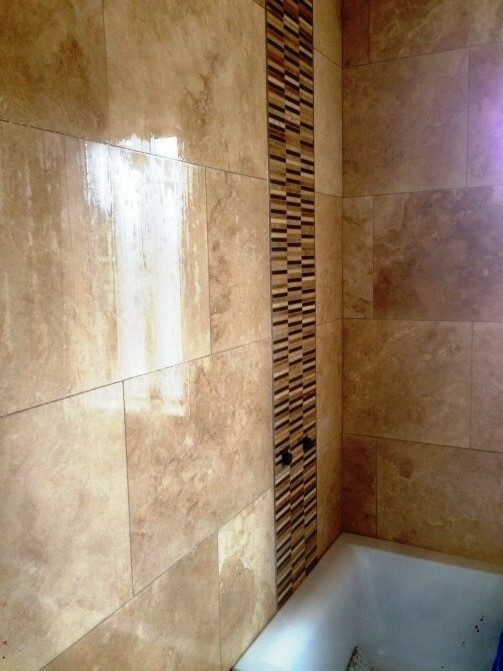 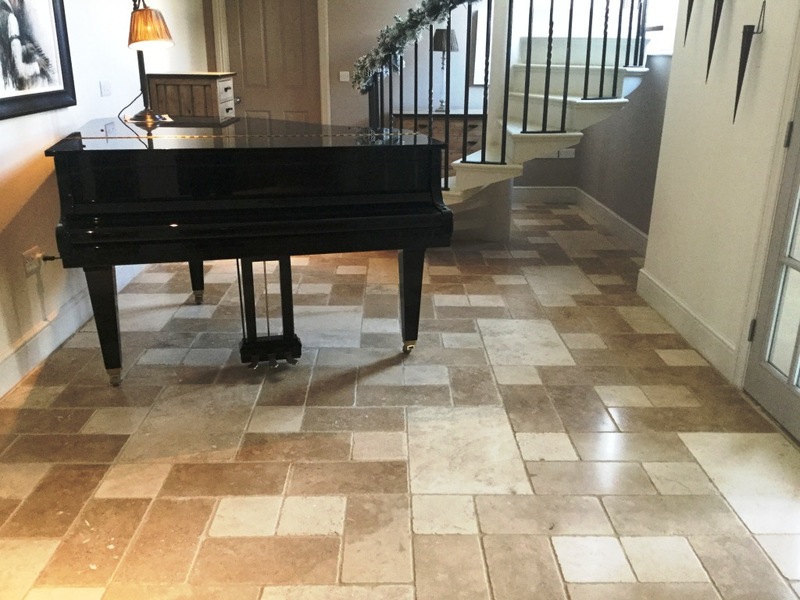 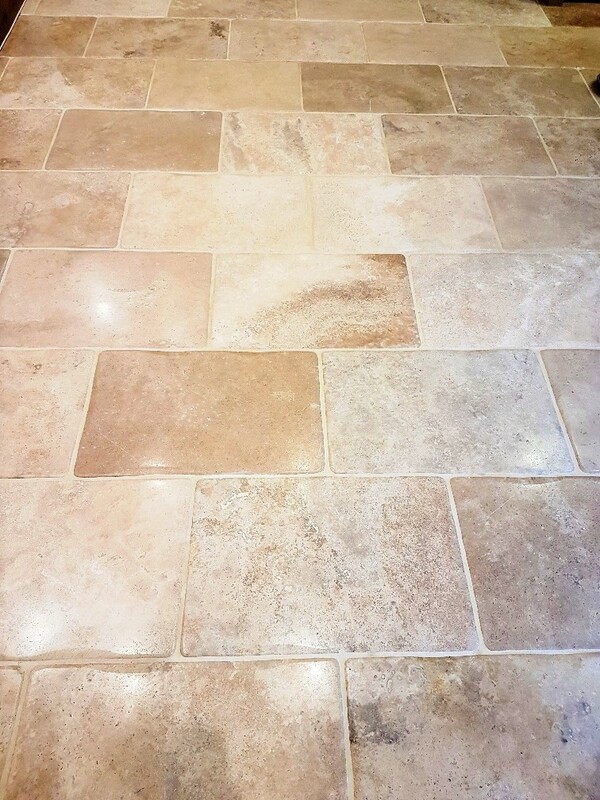 Travertine tile is a natural material that has unique features that no other stone can offer. 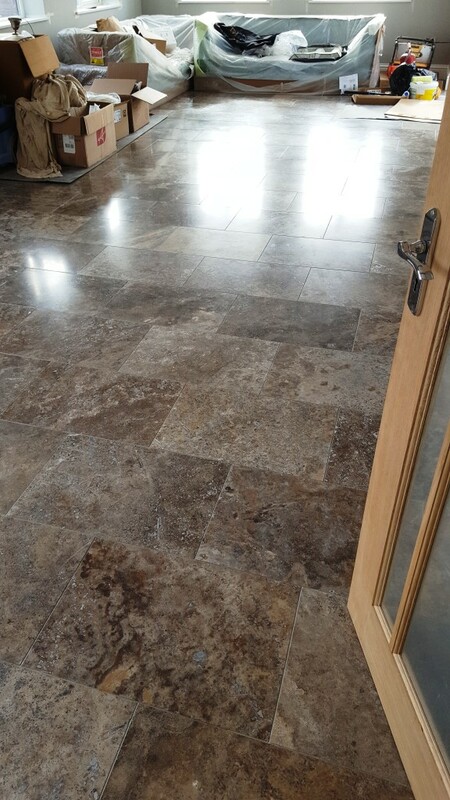 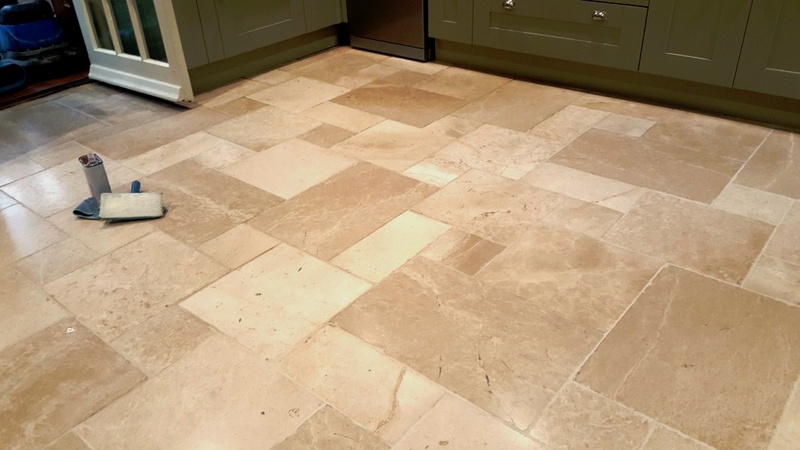 The distinctive design of Travertine creates some of the most distinguished floor tiles. 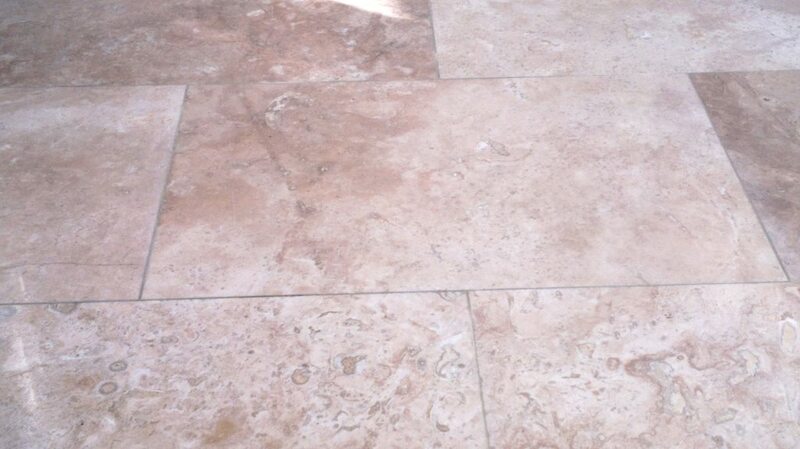 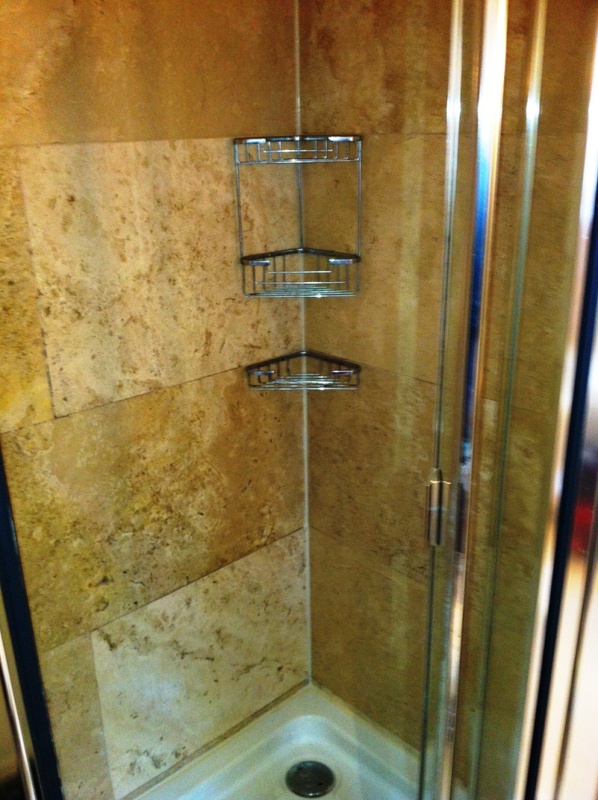 Travertine is ideal for commercial and residential use. 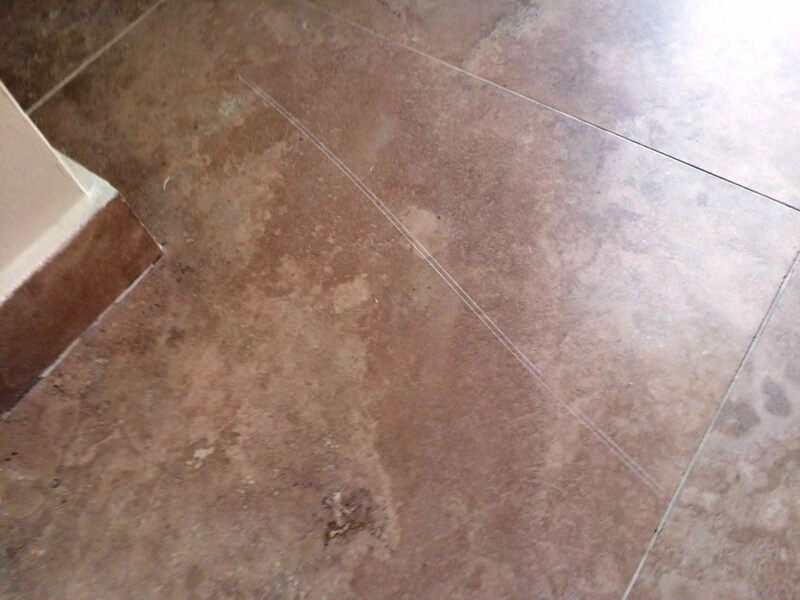 It can be used for floor tile, kitchen flooring, bathroom wall tile, bathroom floor tile, and it is often used externally. 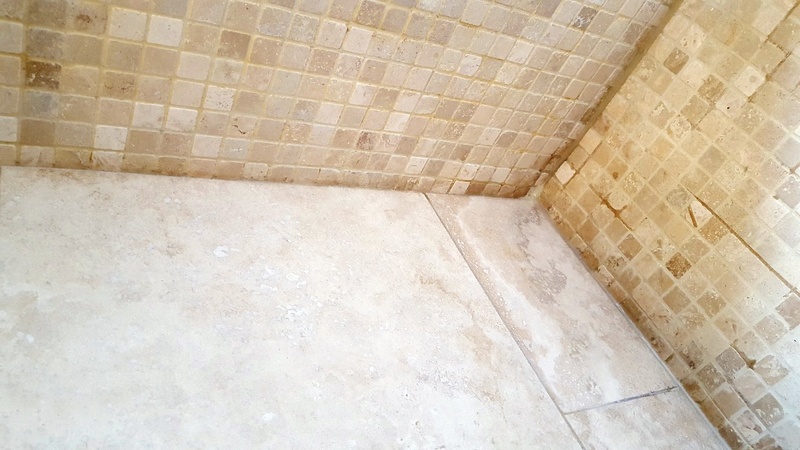 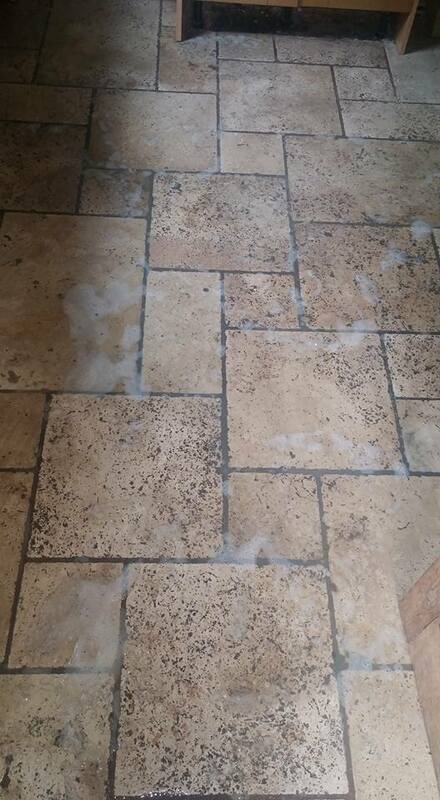 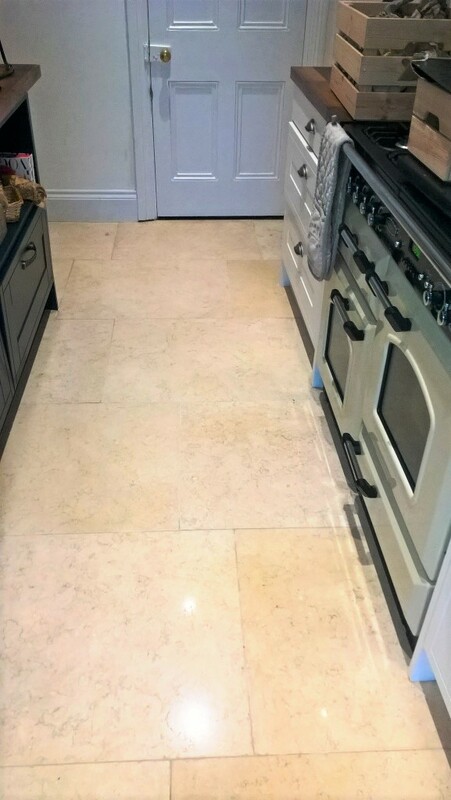 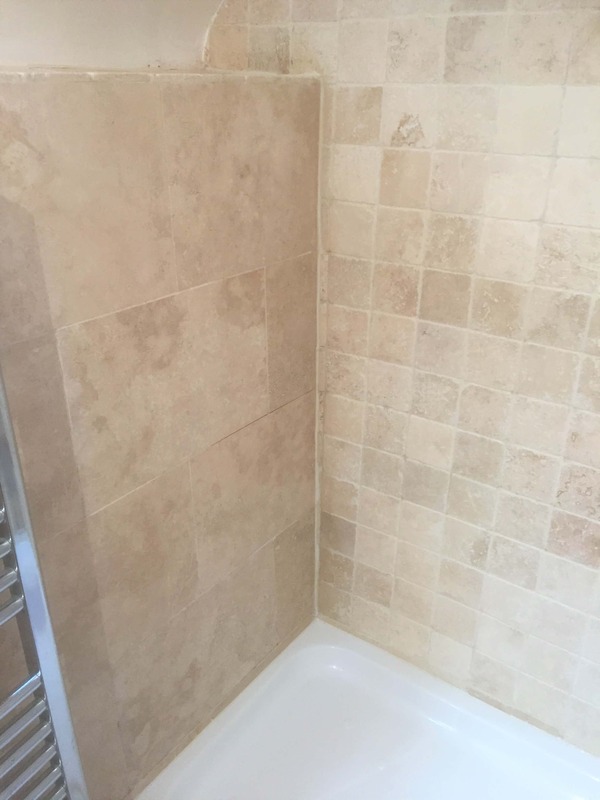 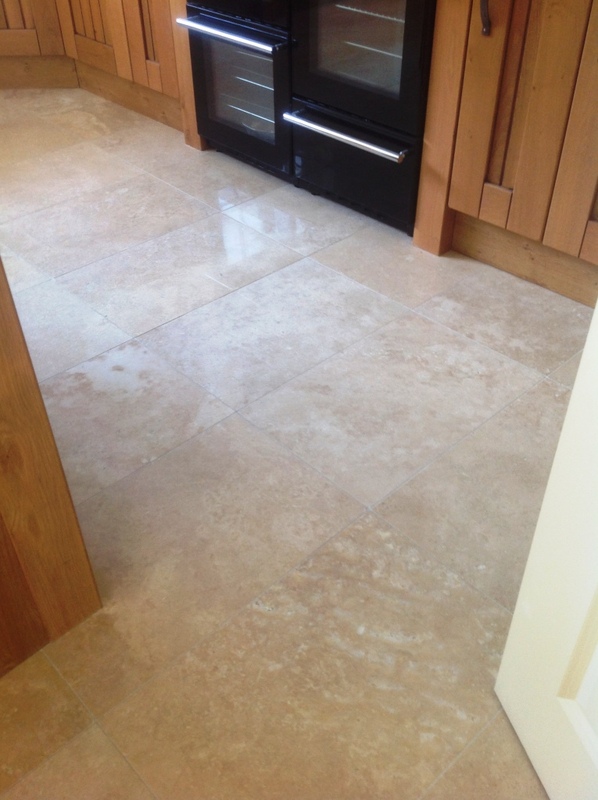 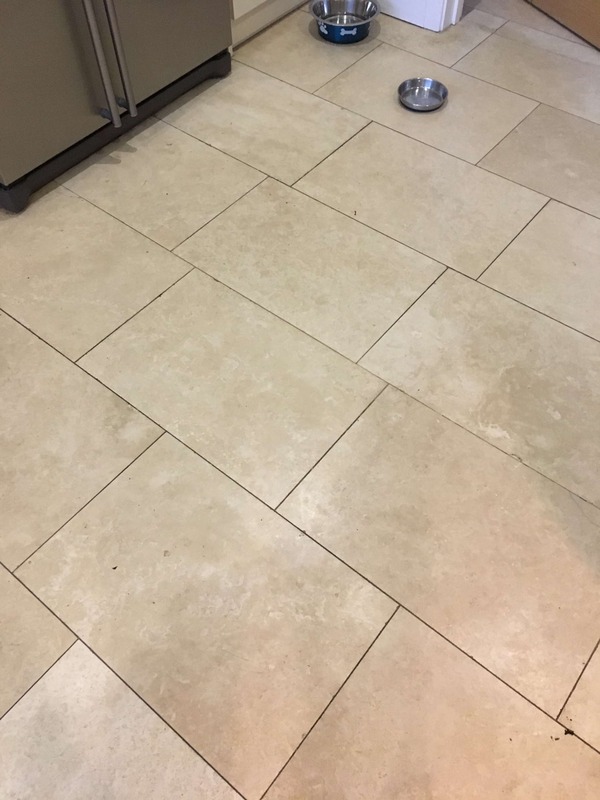 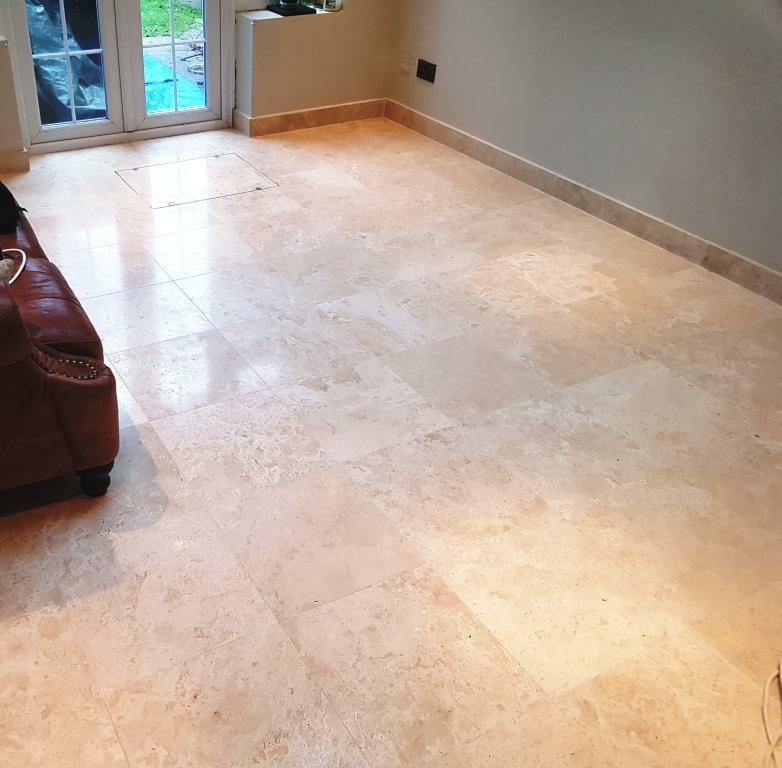 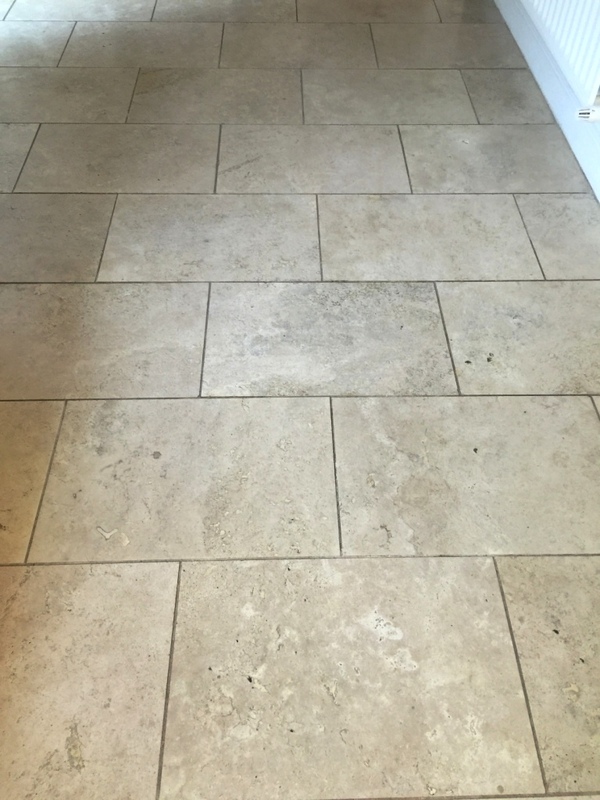 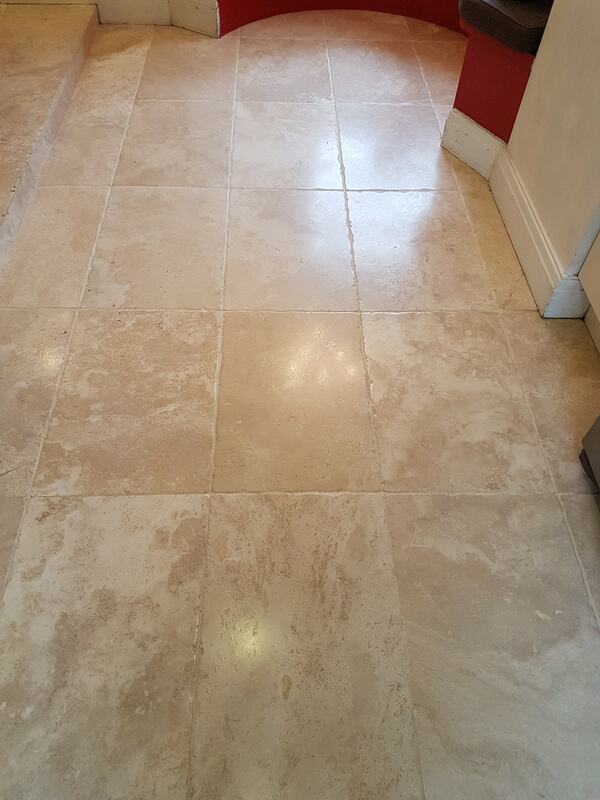 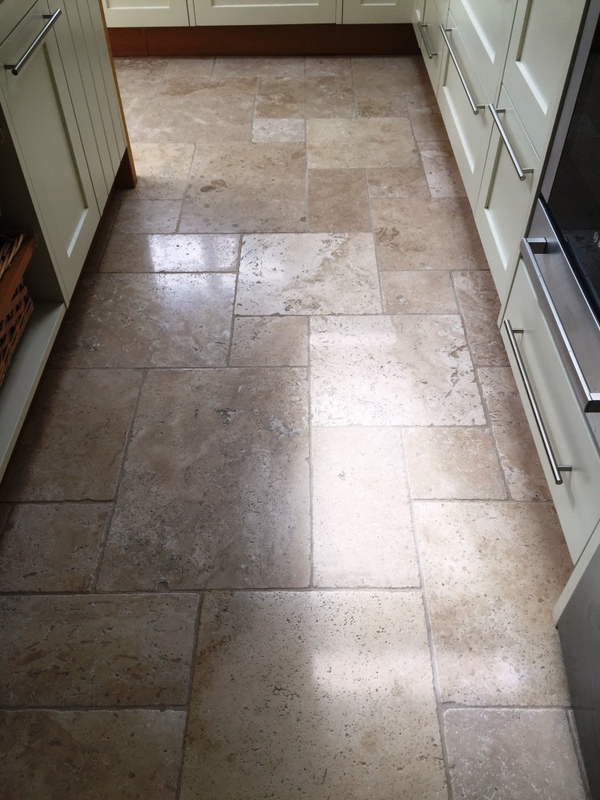 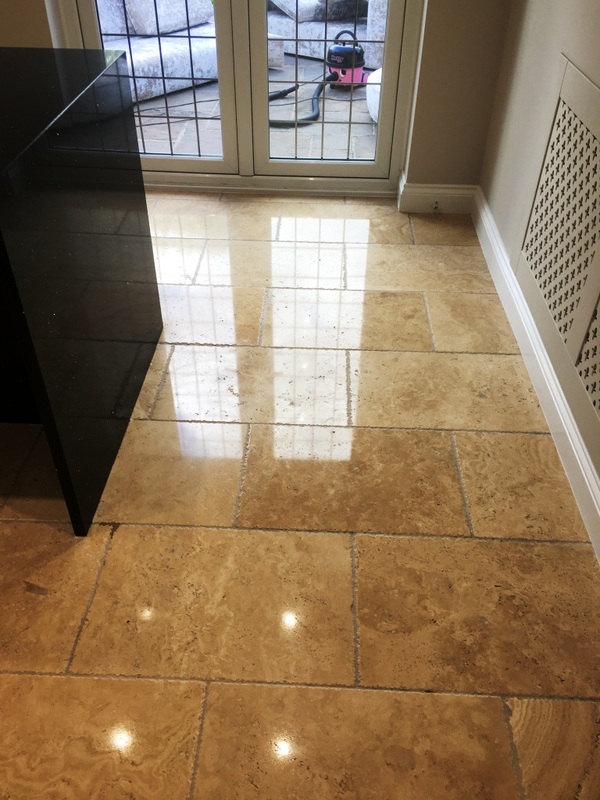 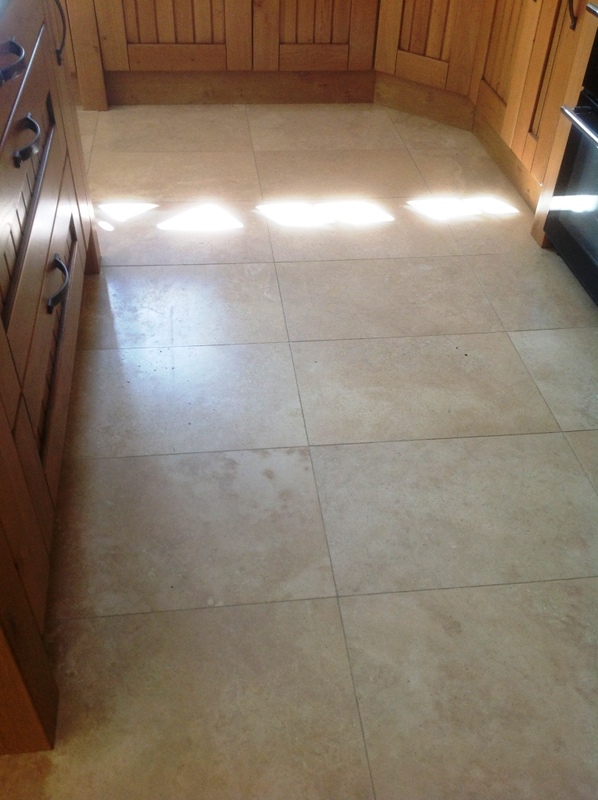 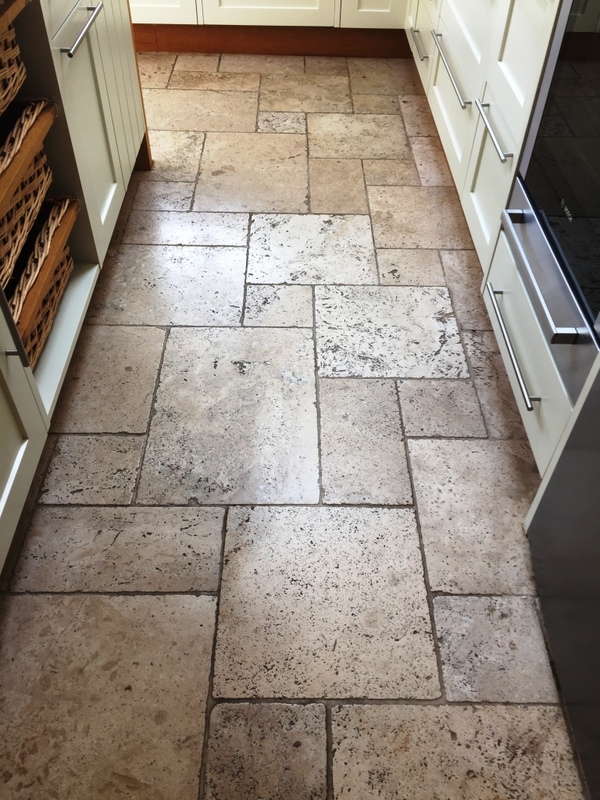 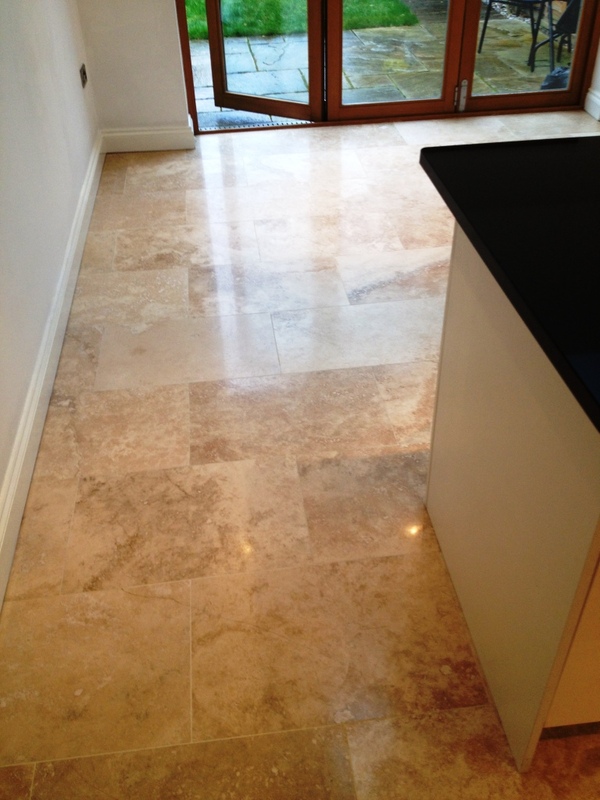 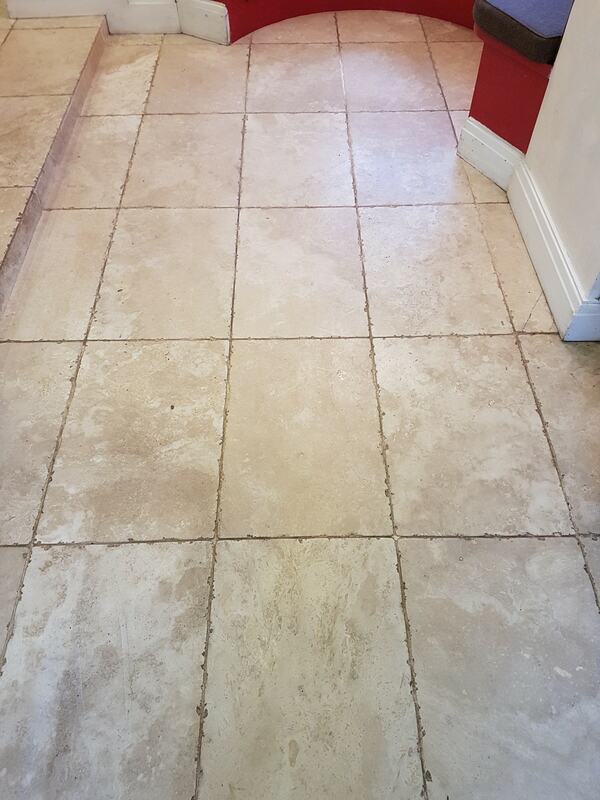 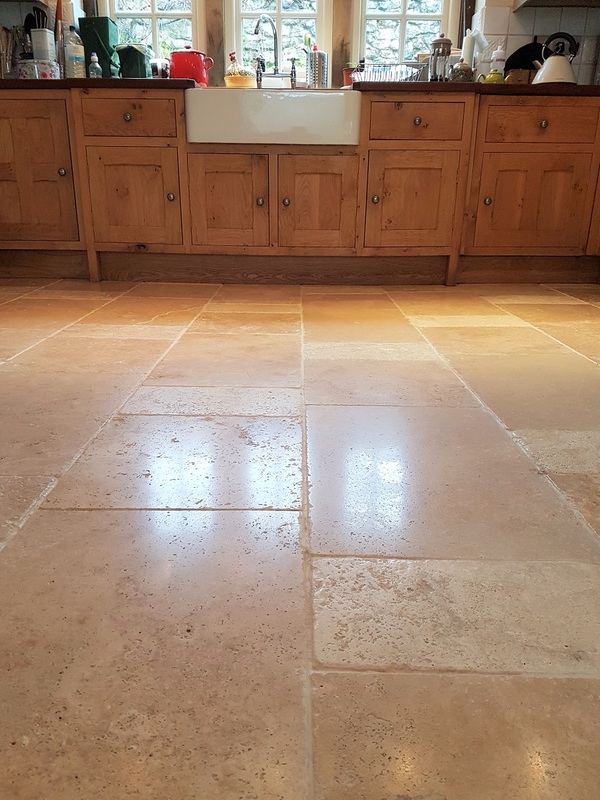 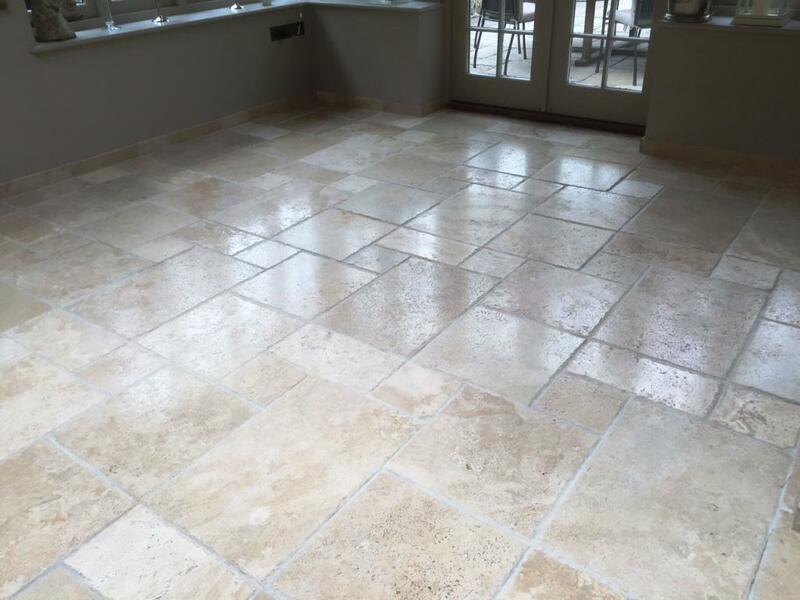 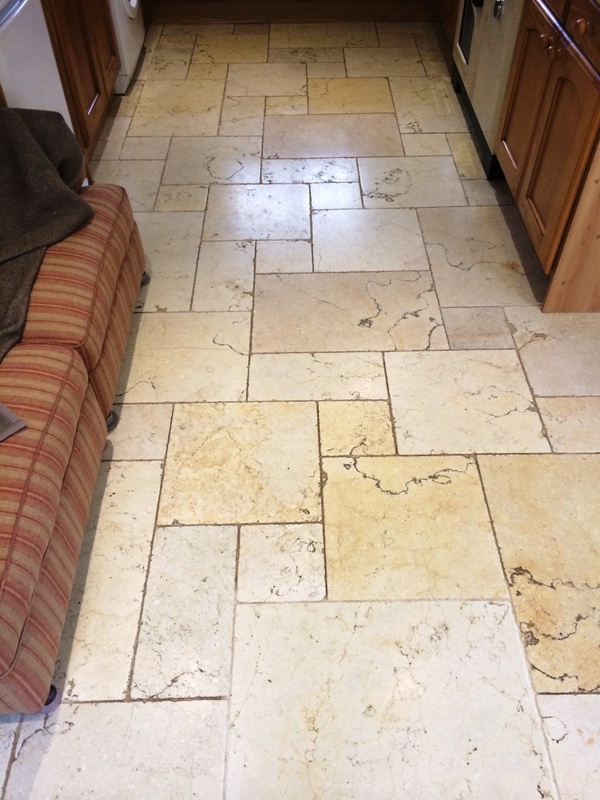 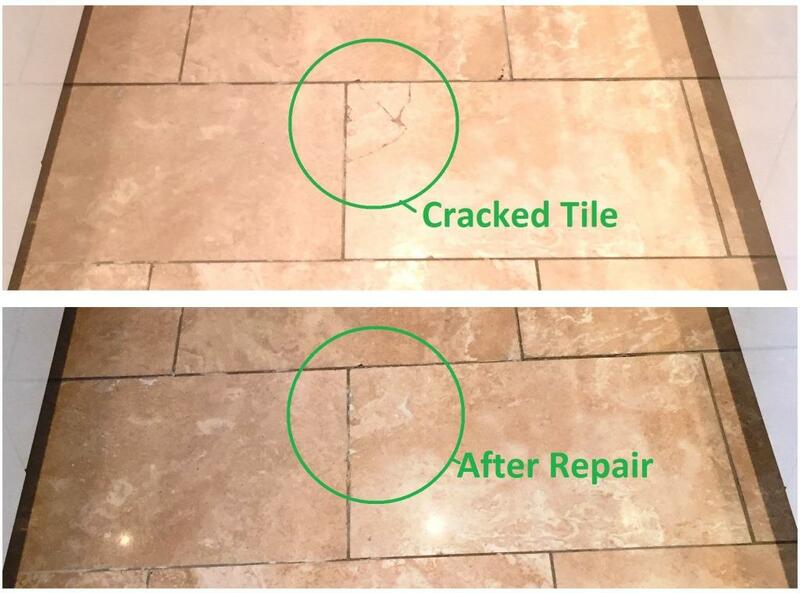 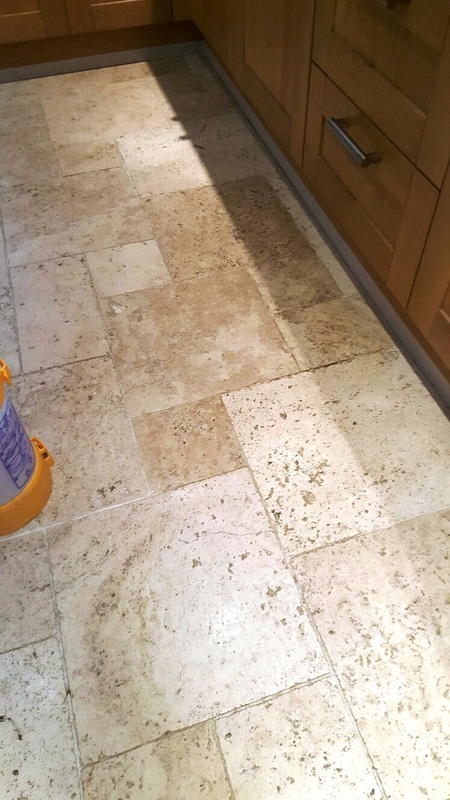 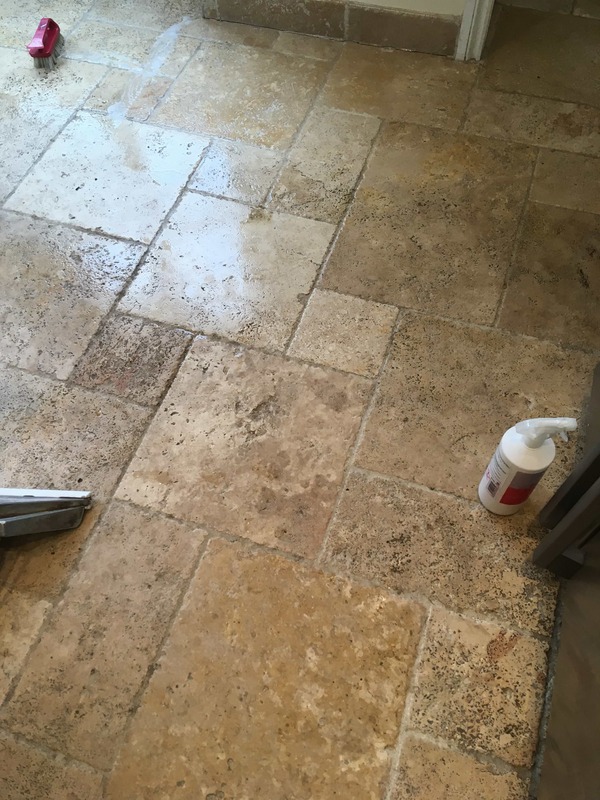 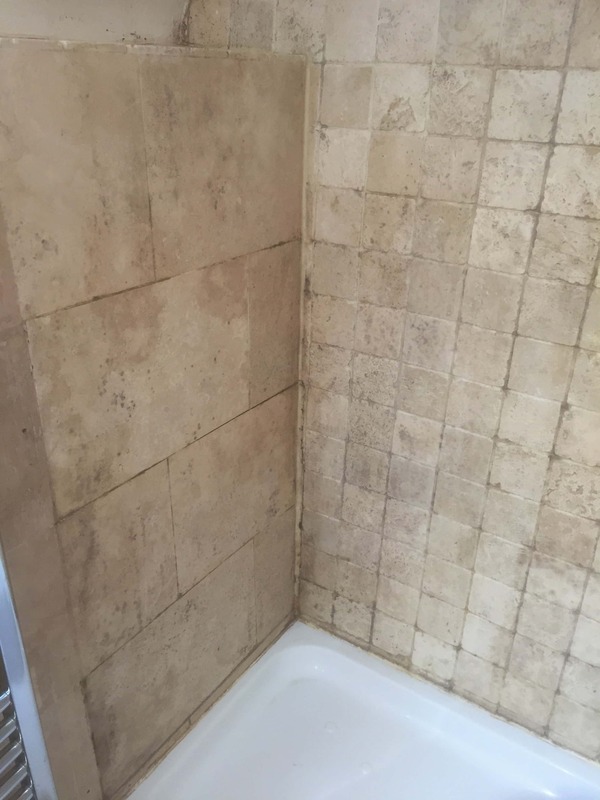 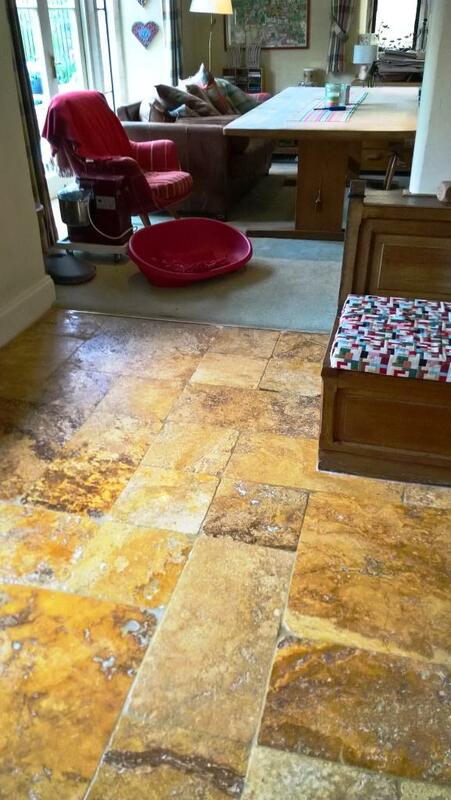 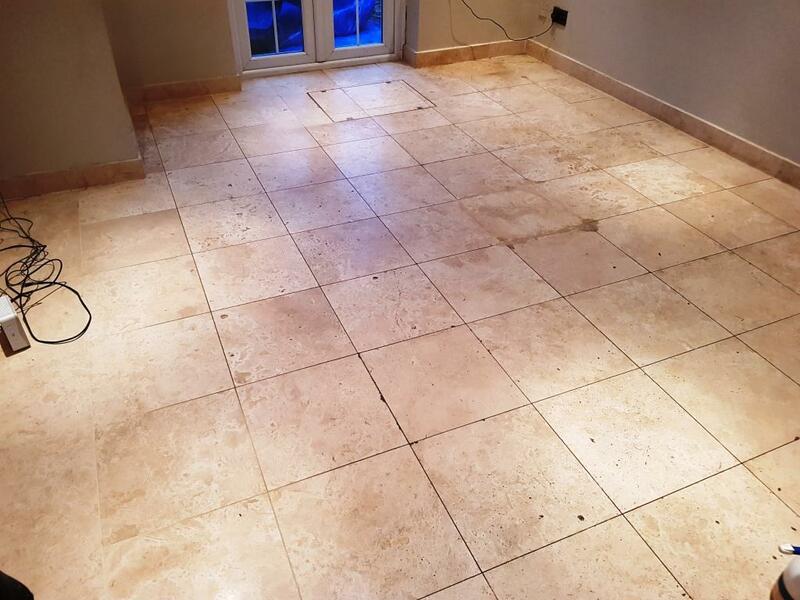 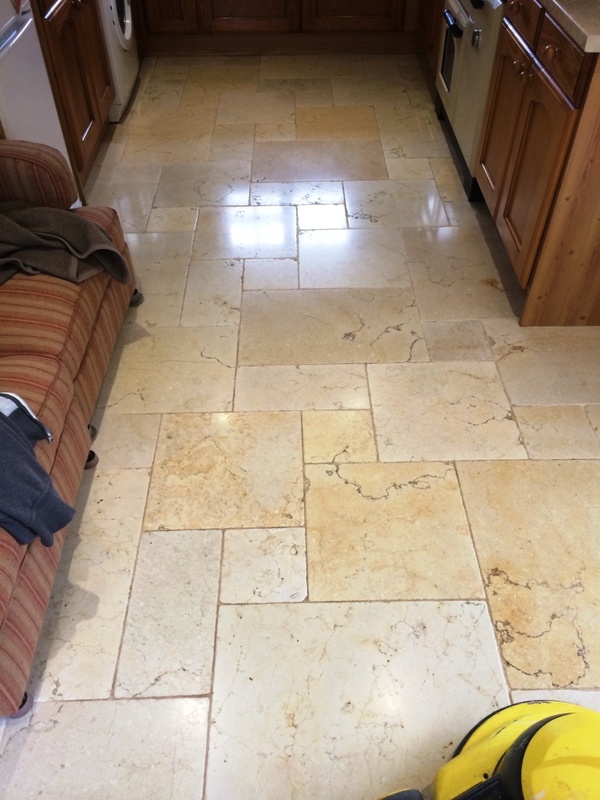 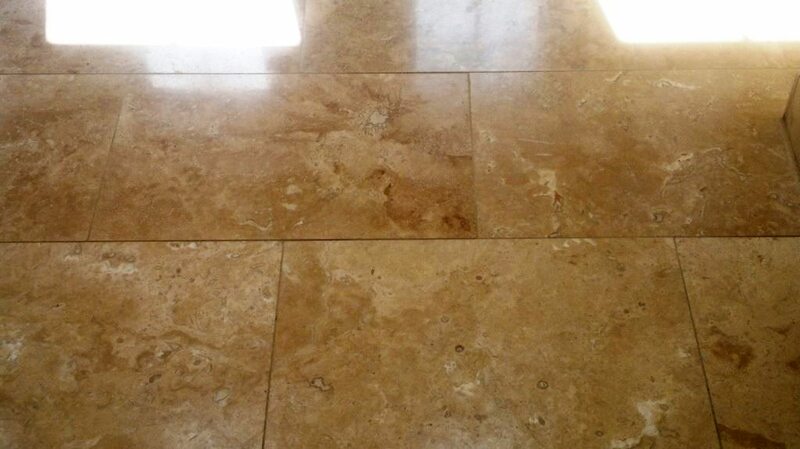 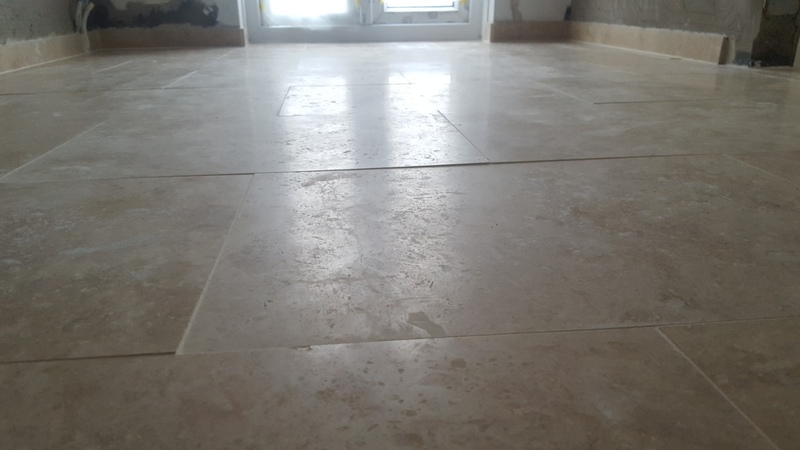 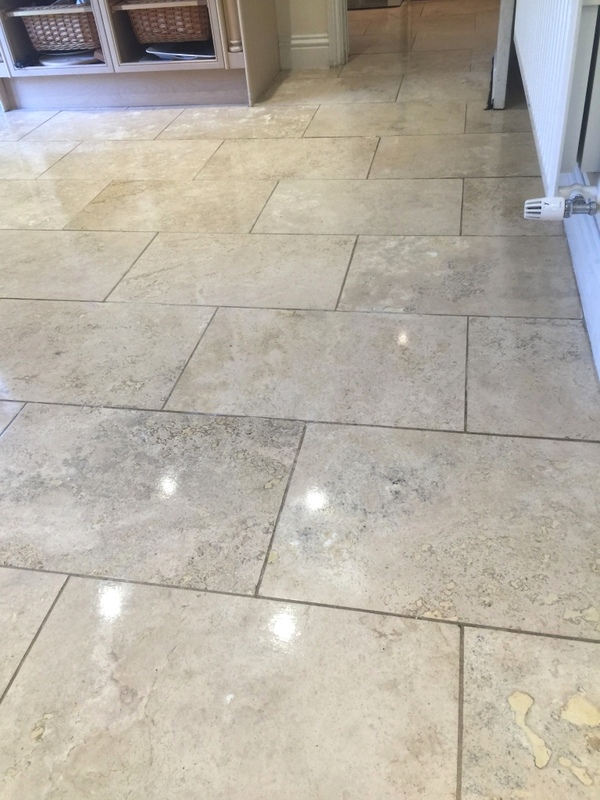 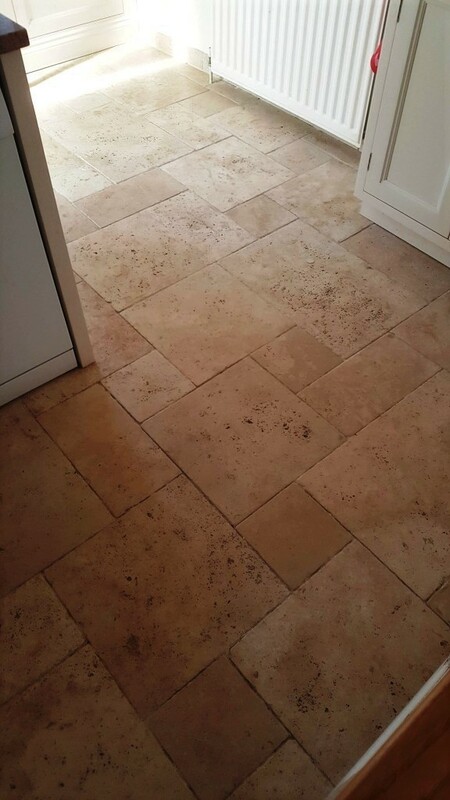 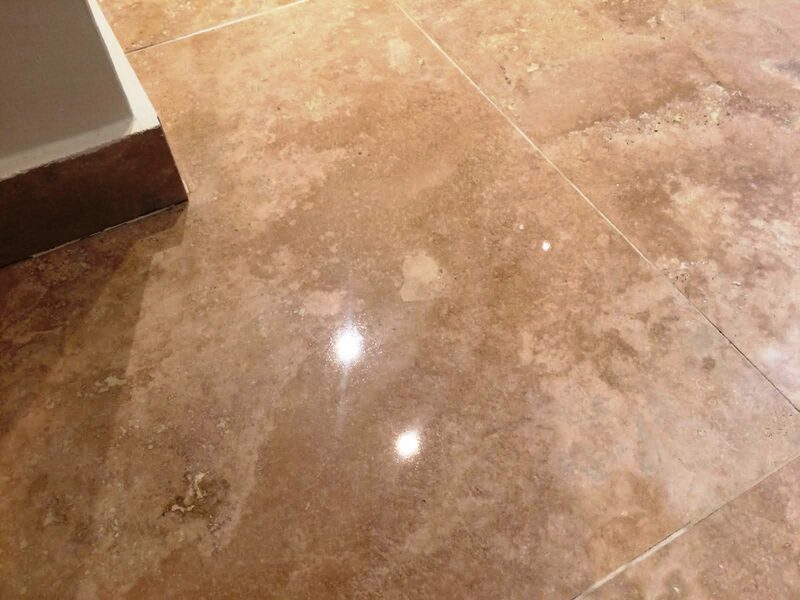 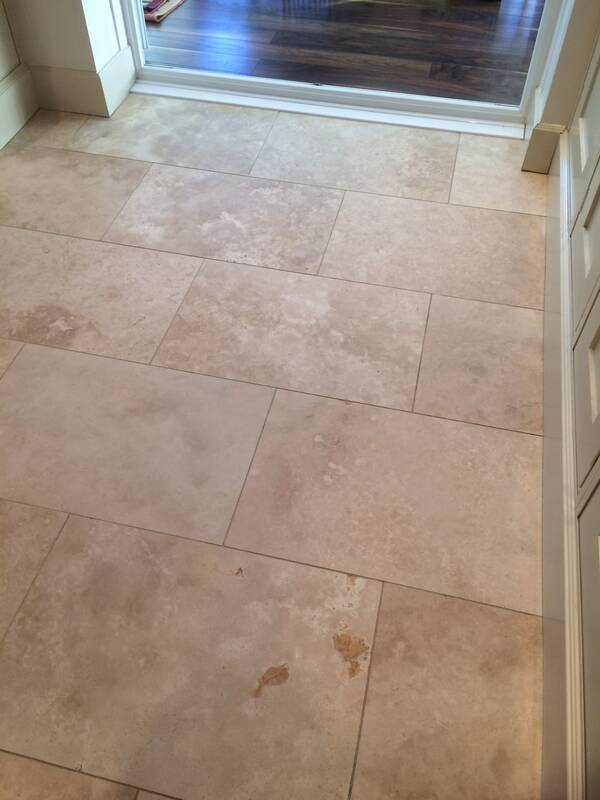 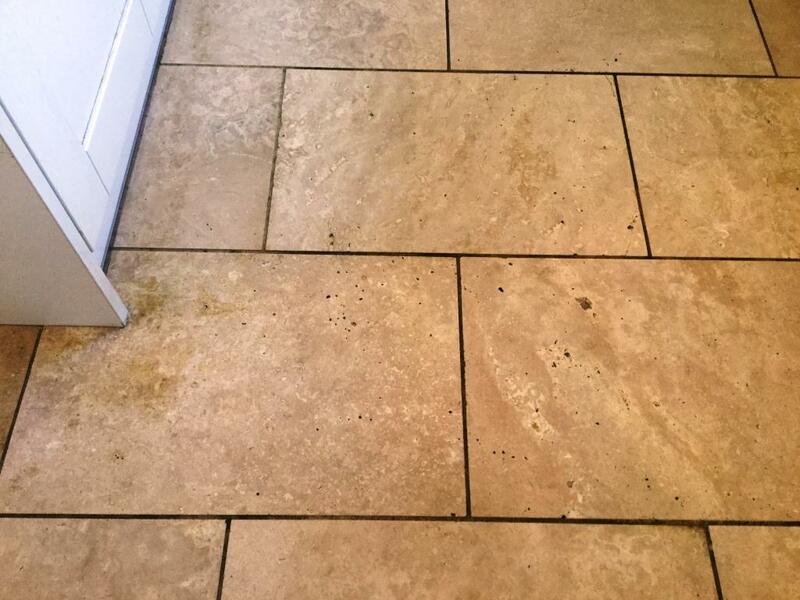 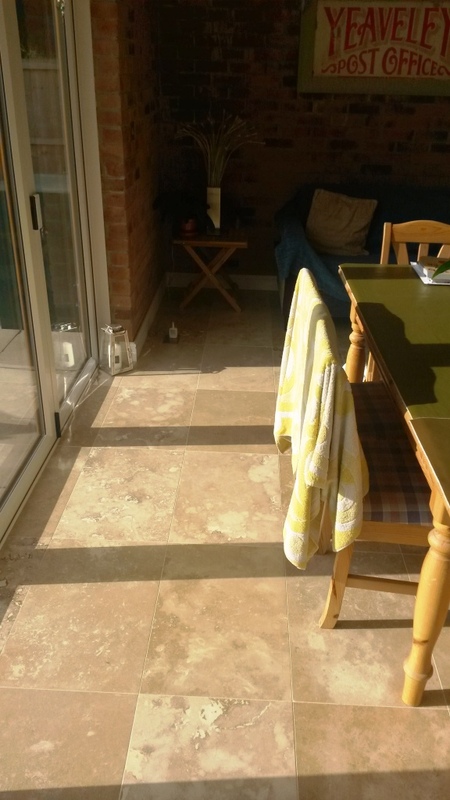 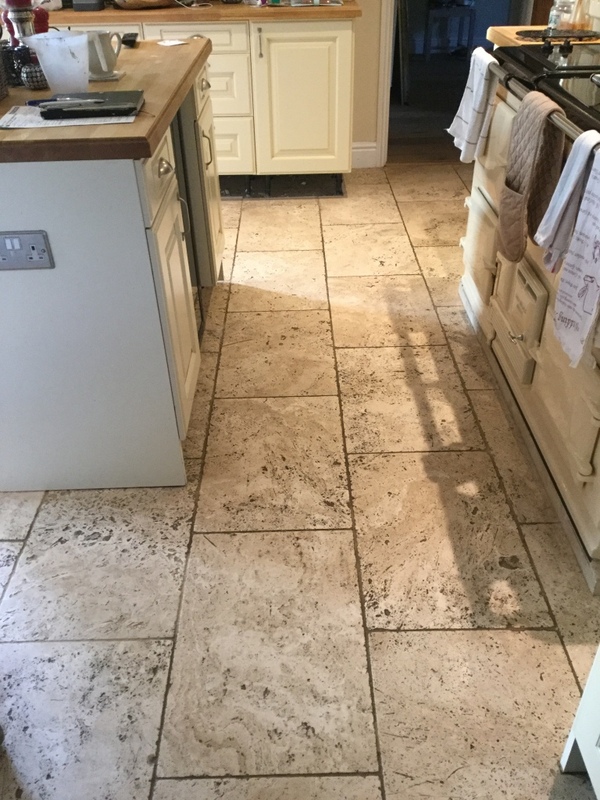 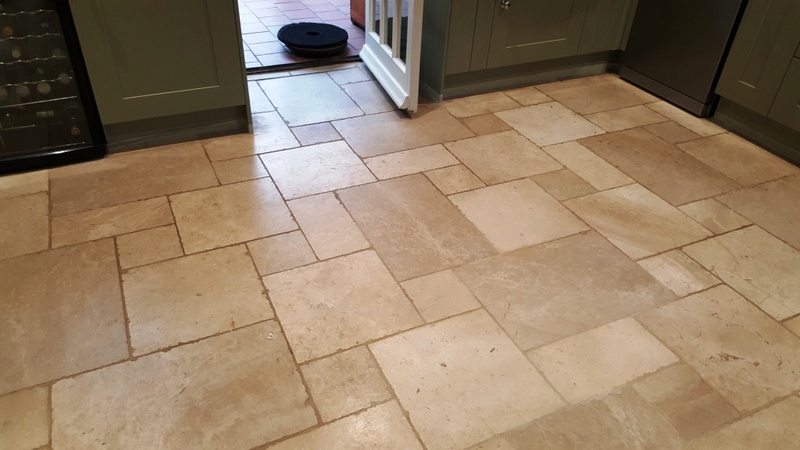 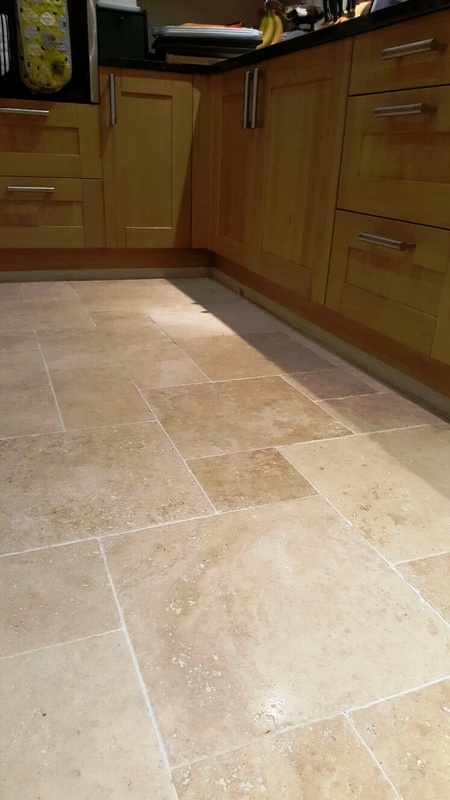 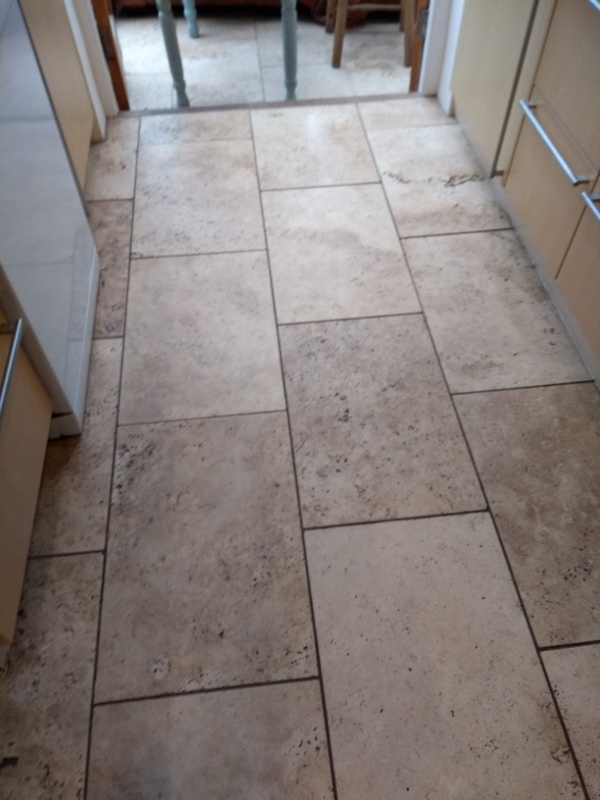 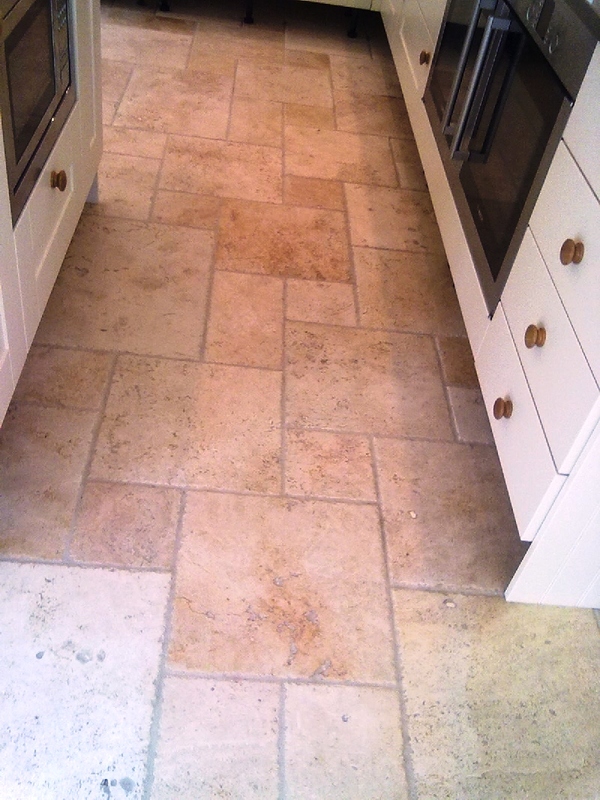 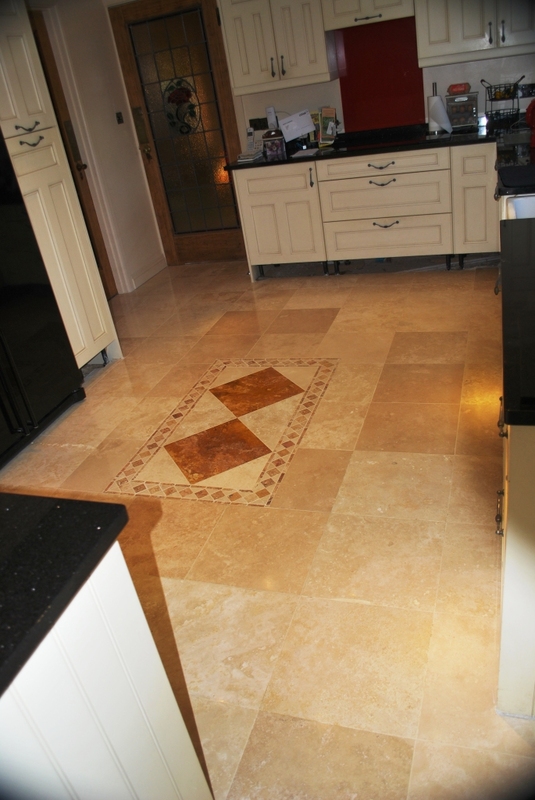 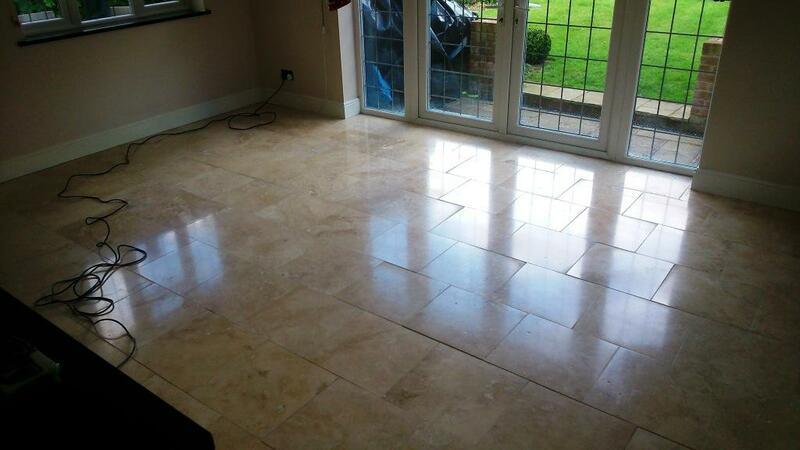 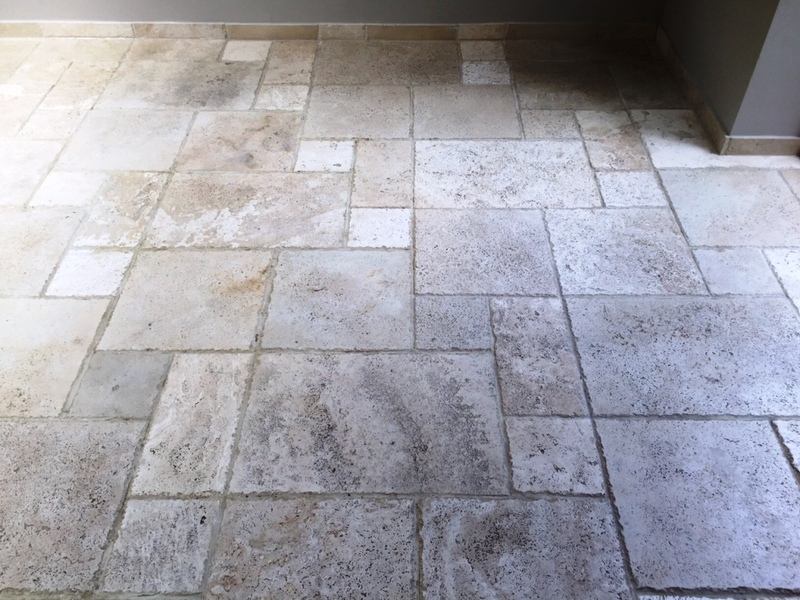 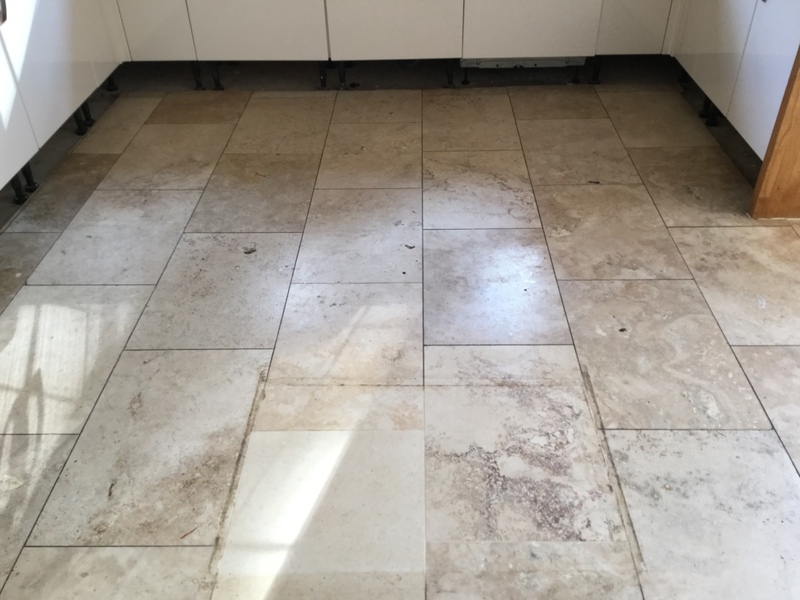 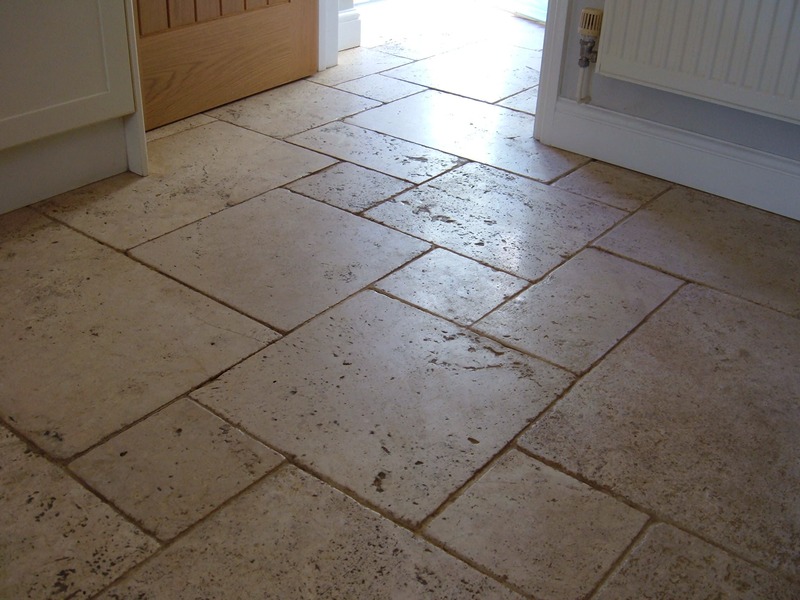 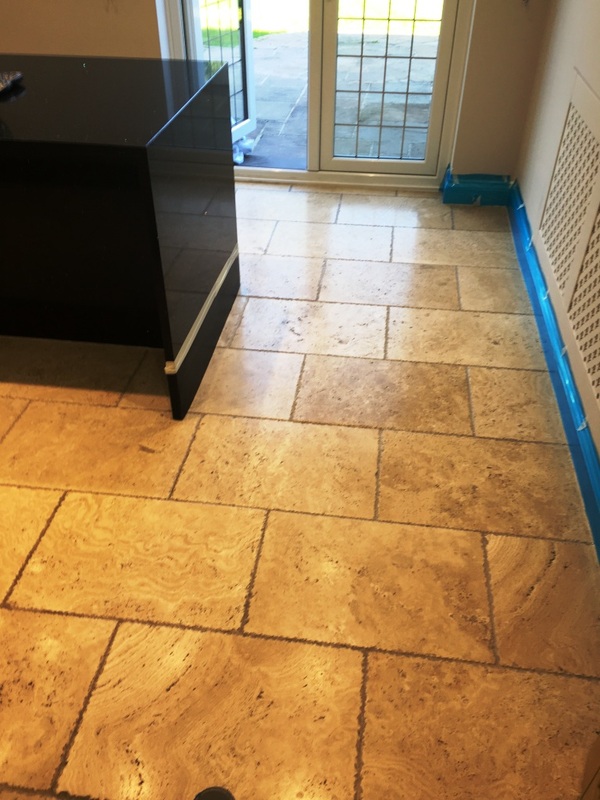 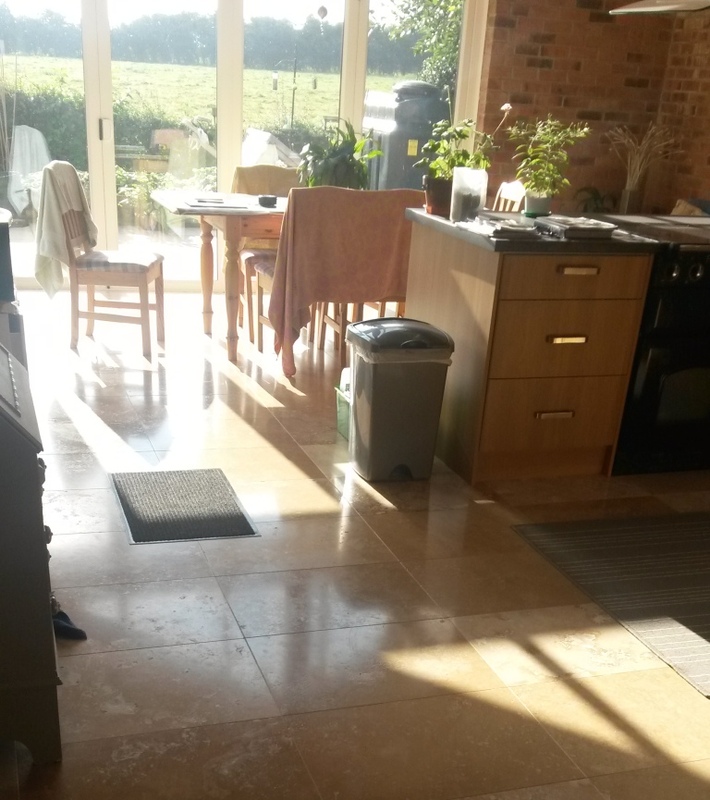 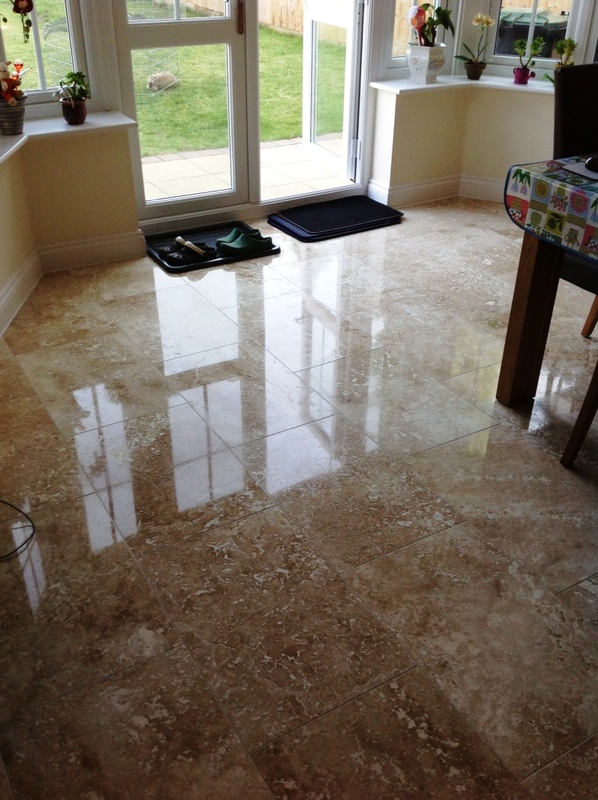 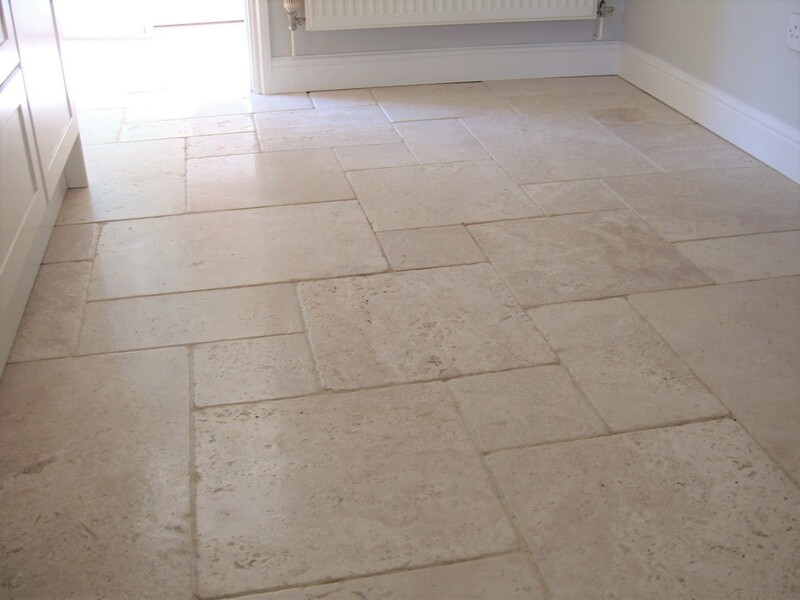 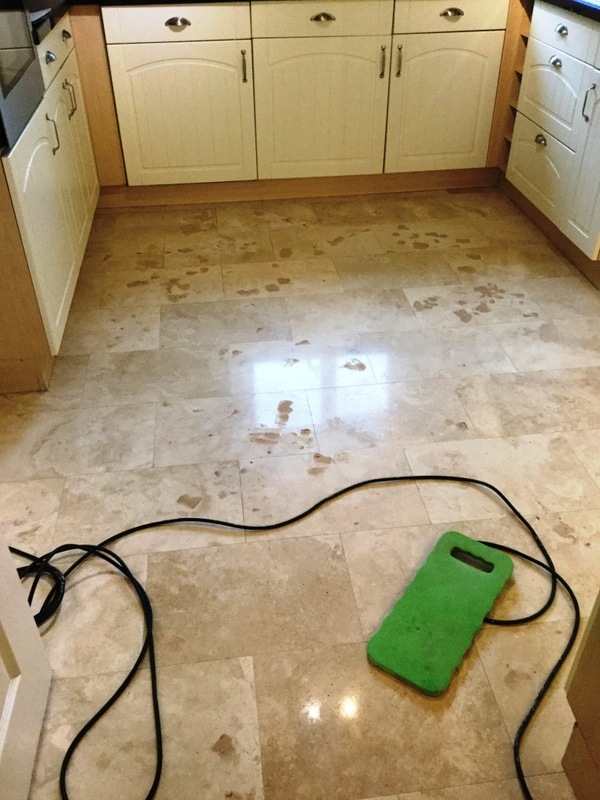 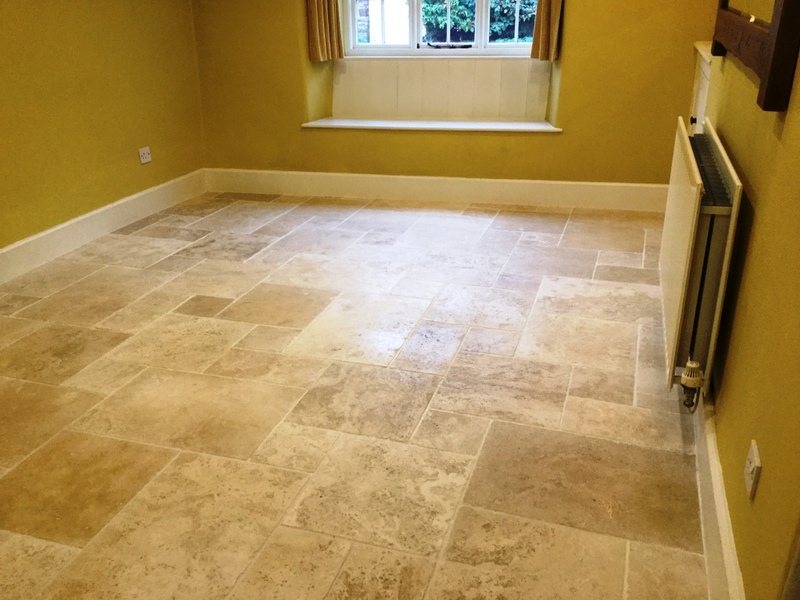 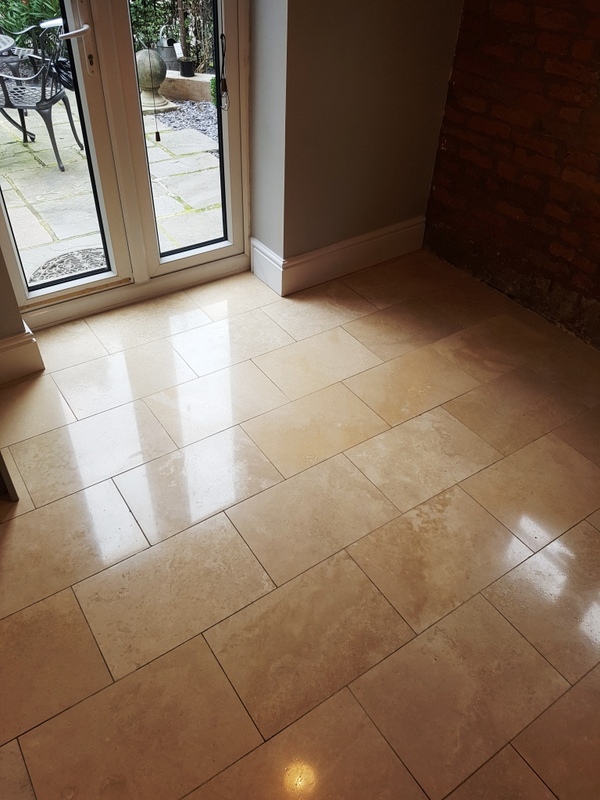 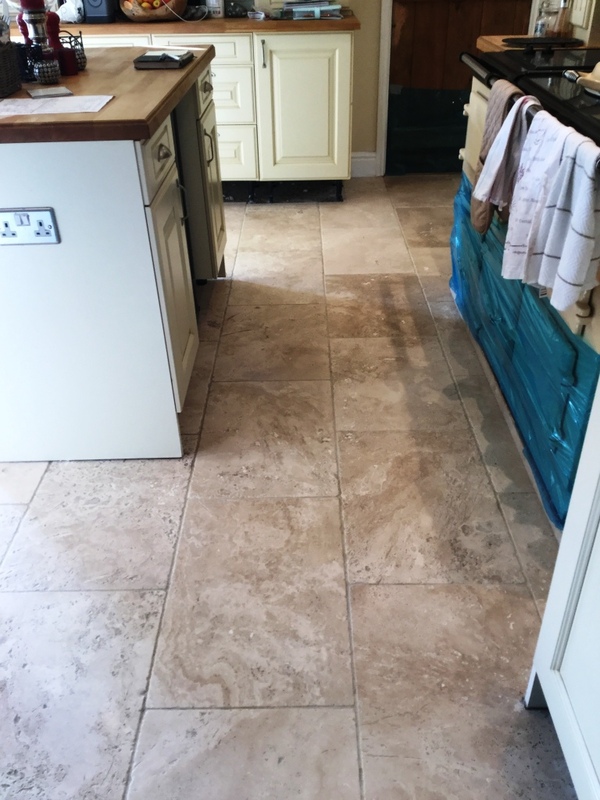 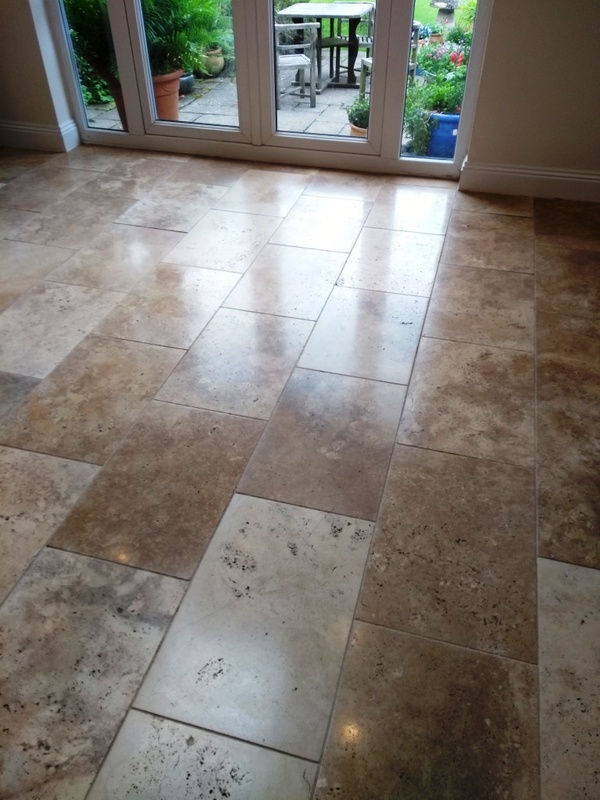 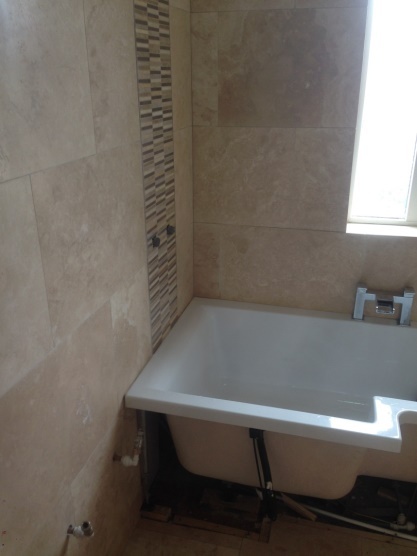 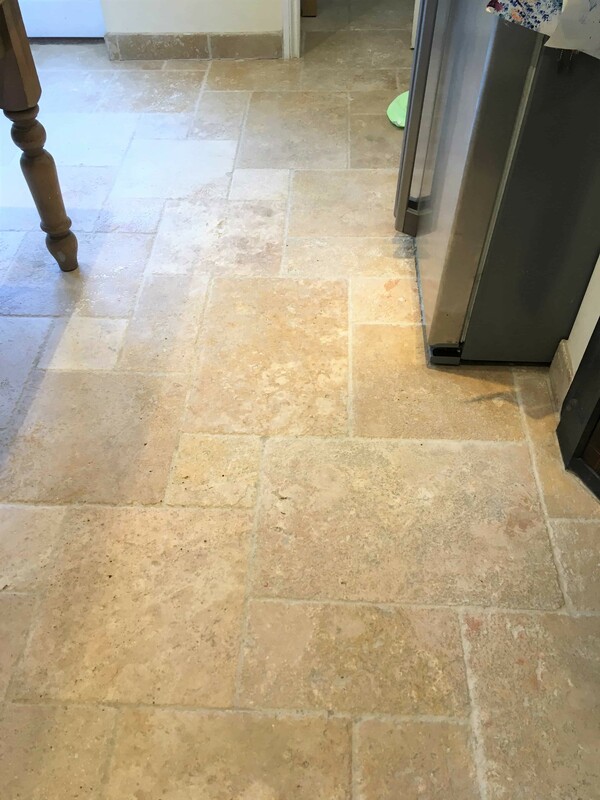 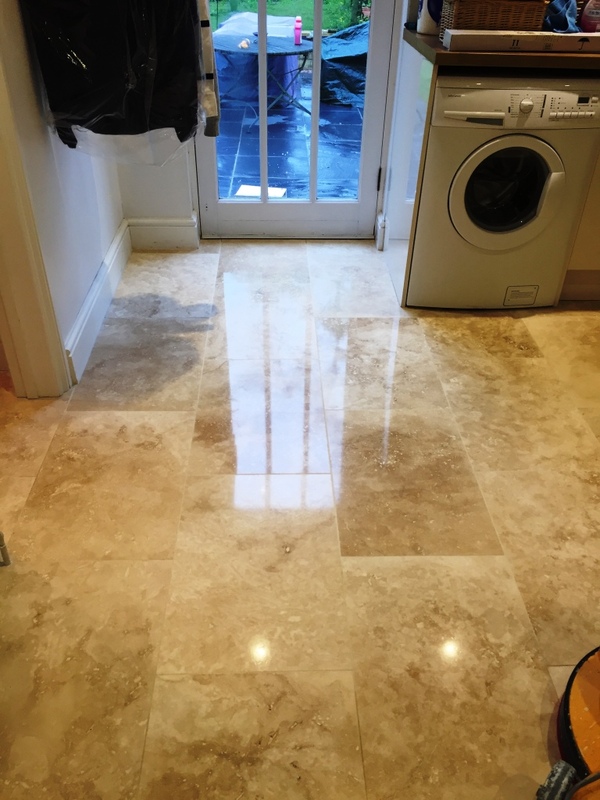 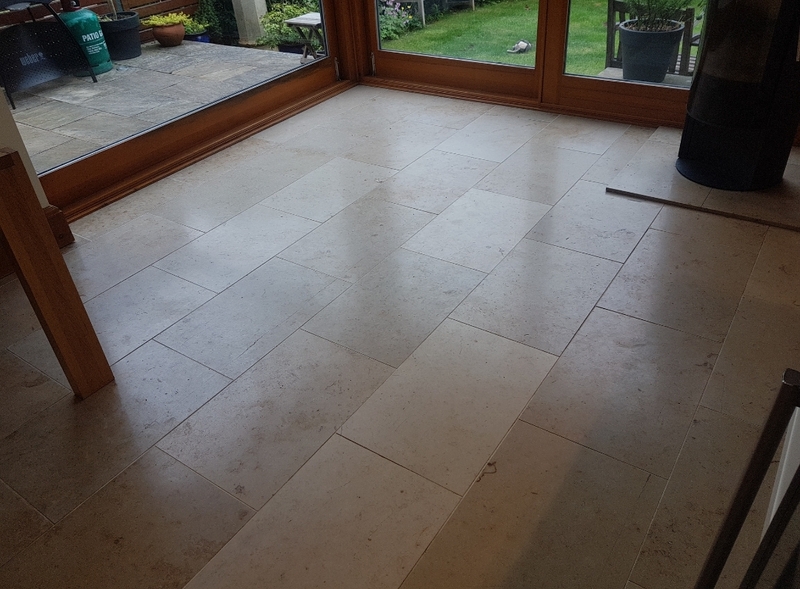 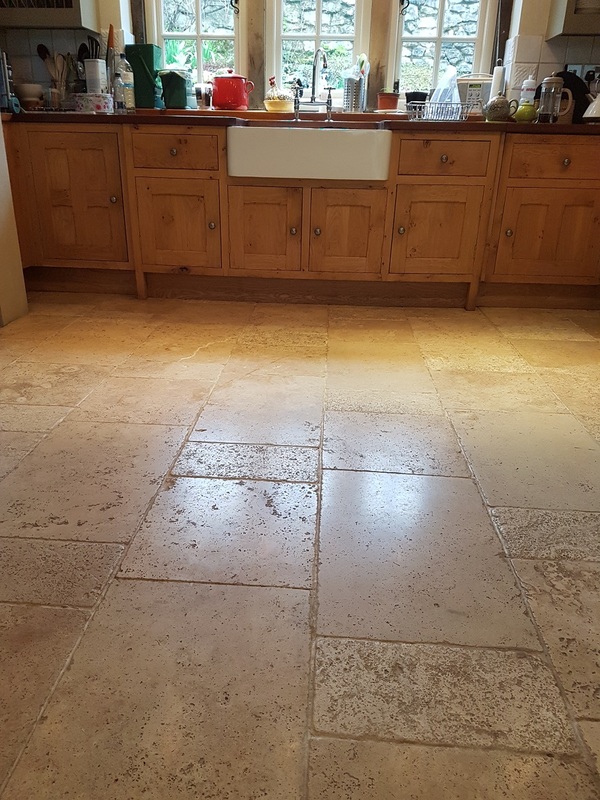 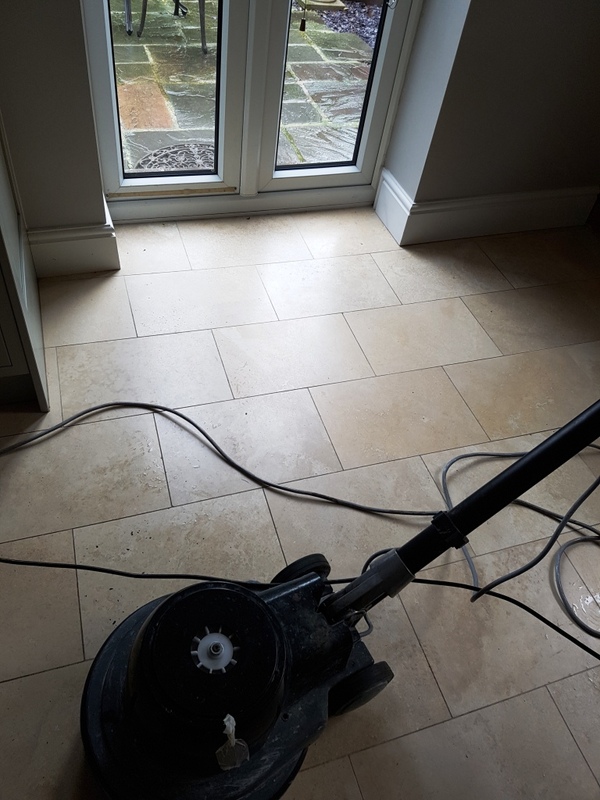 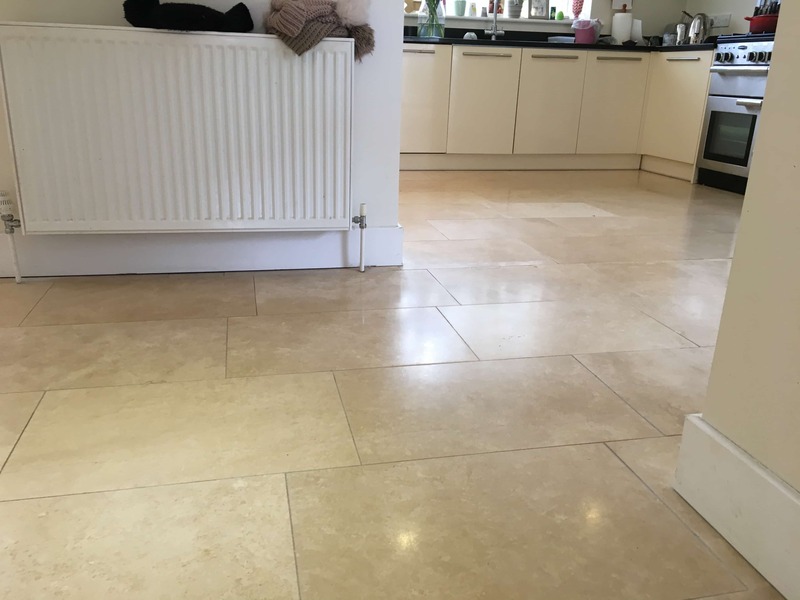 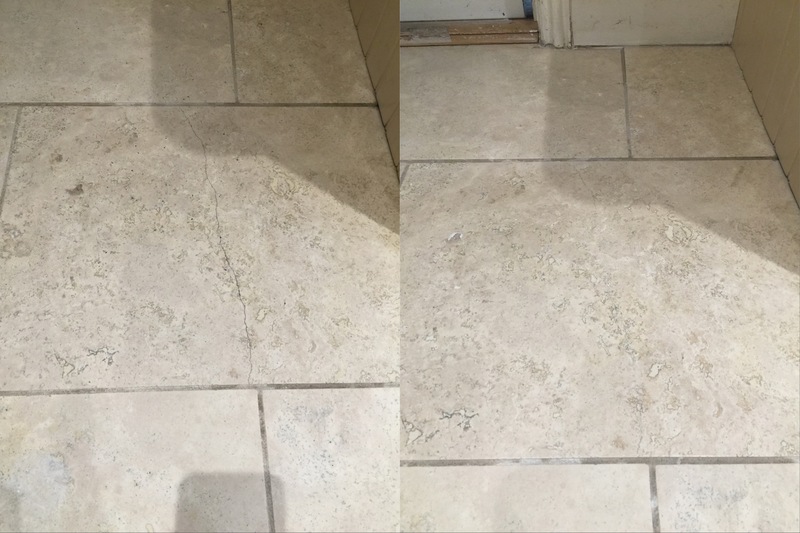 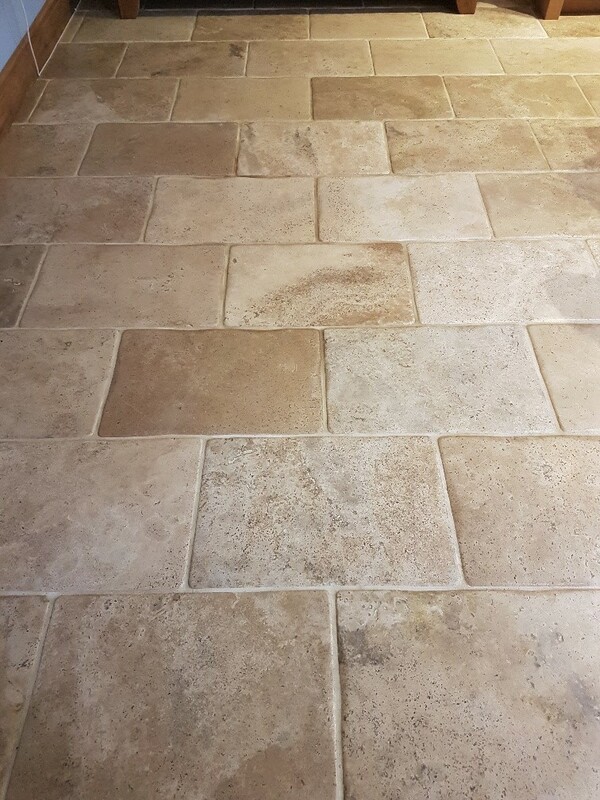 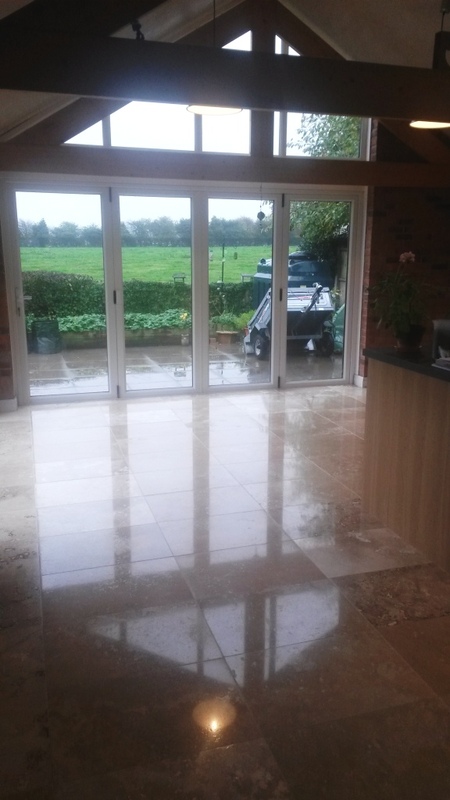 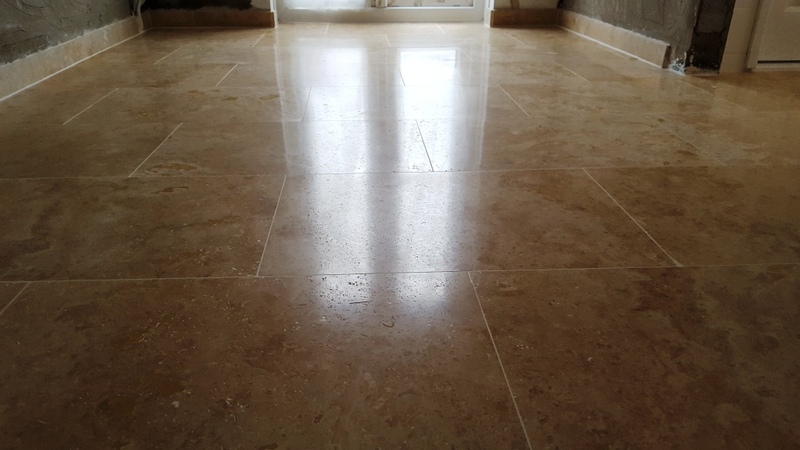 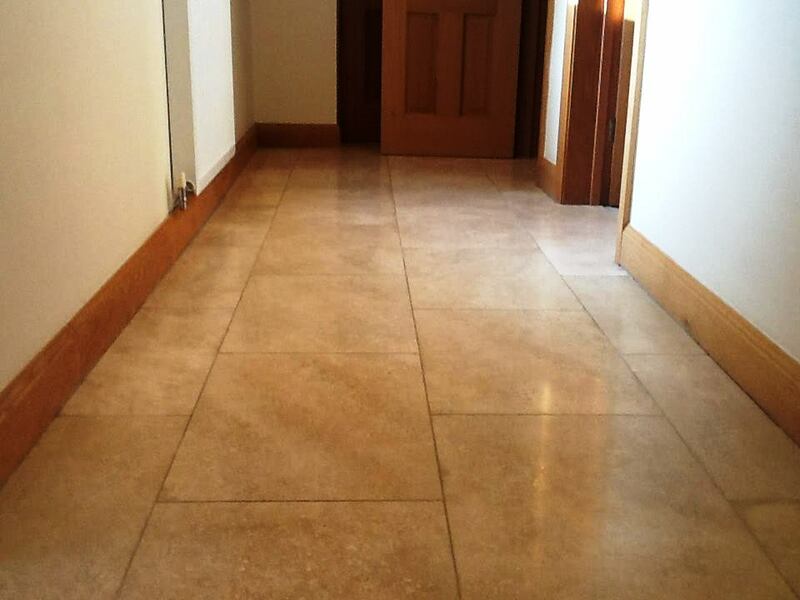 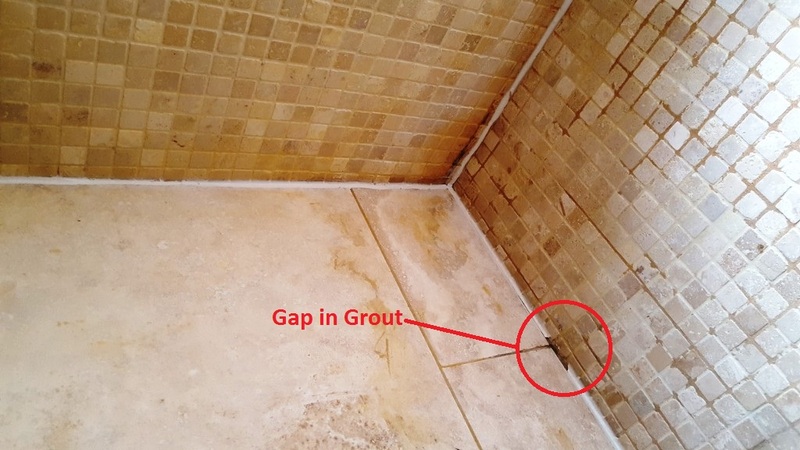 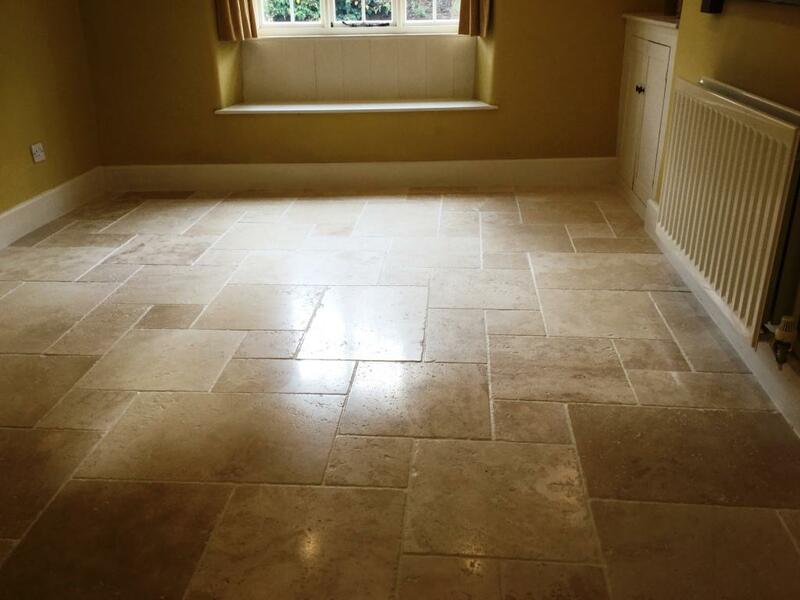 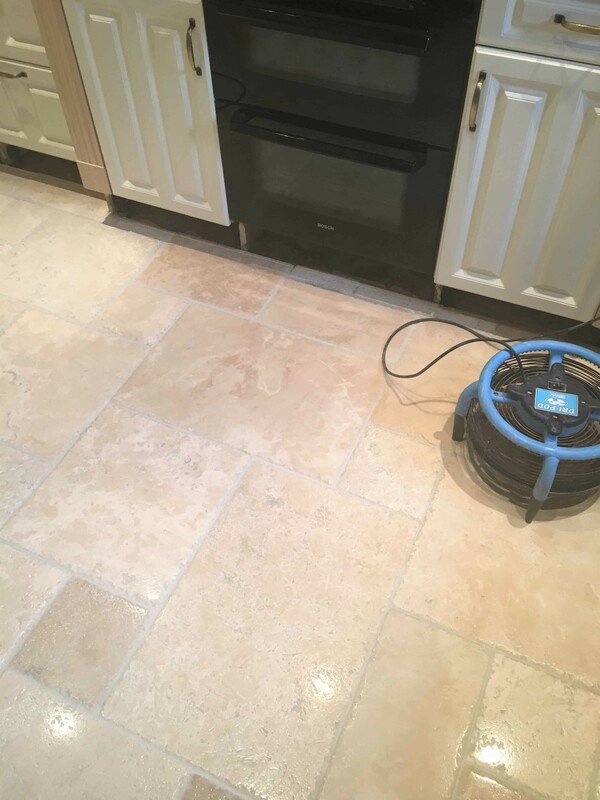 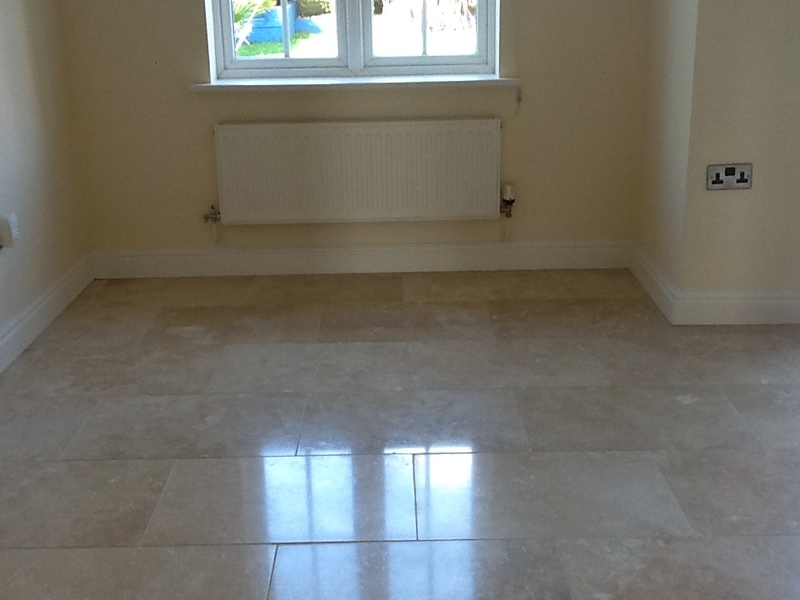 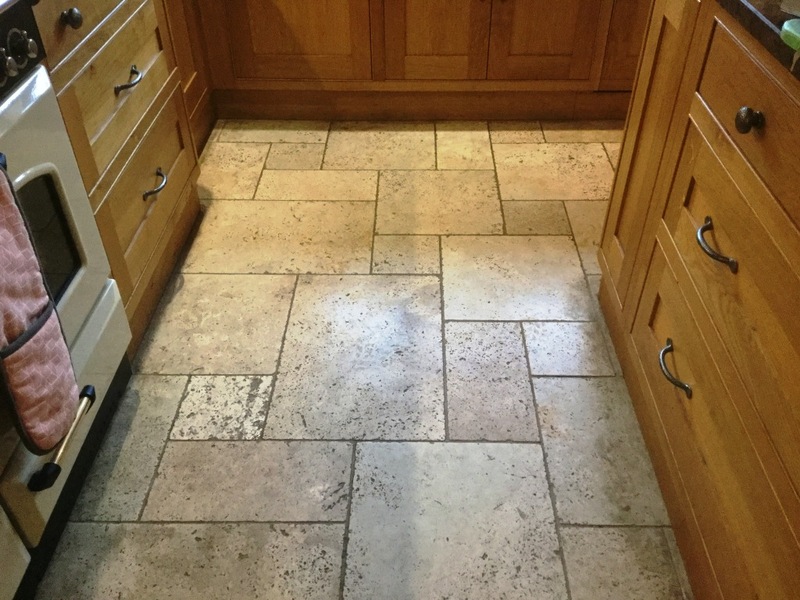 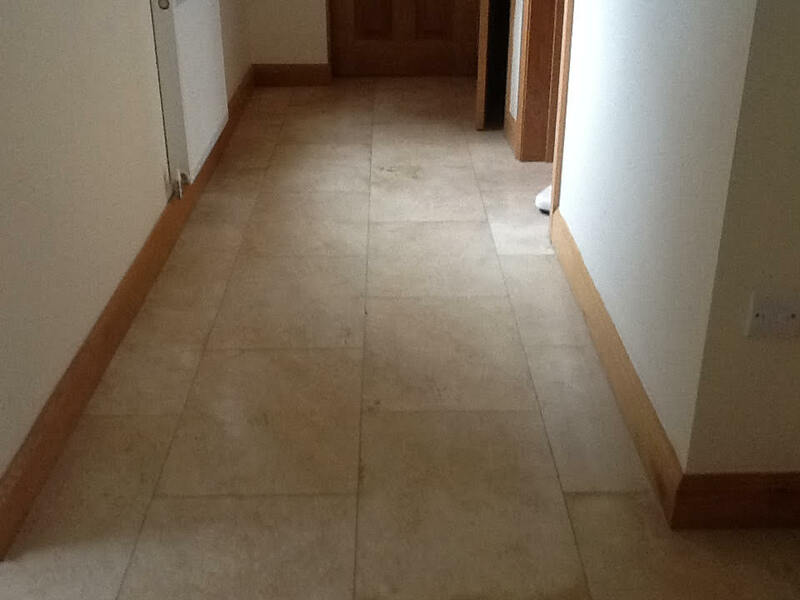 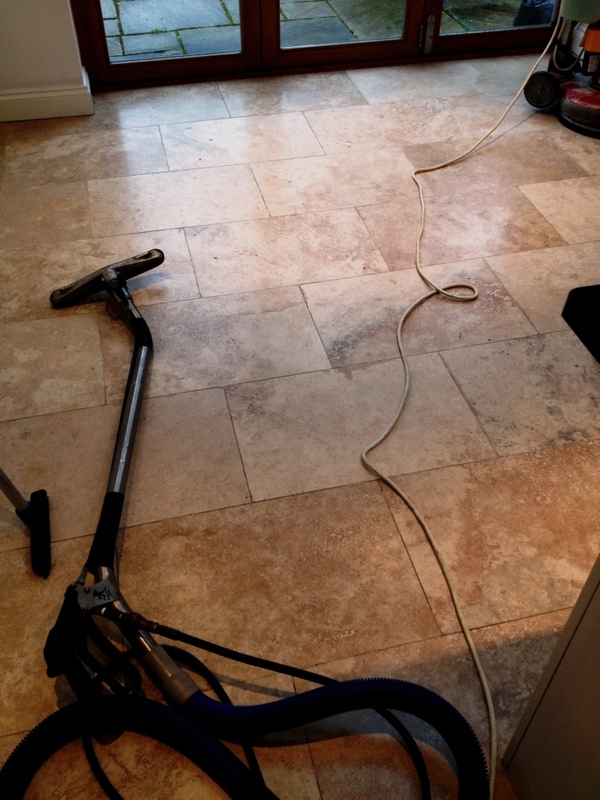 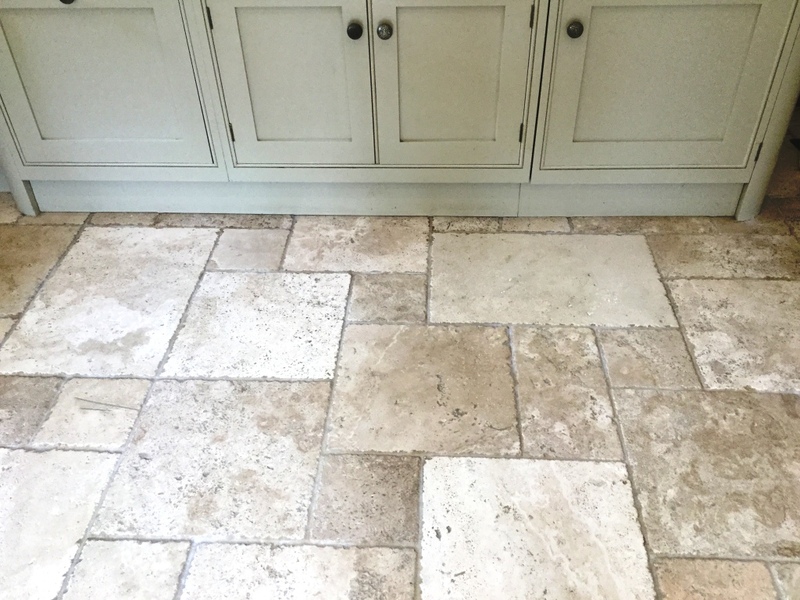 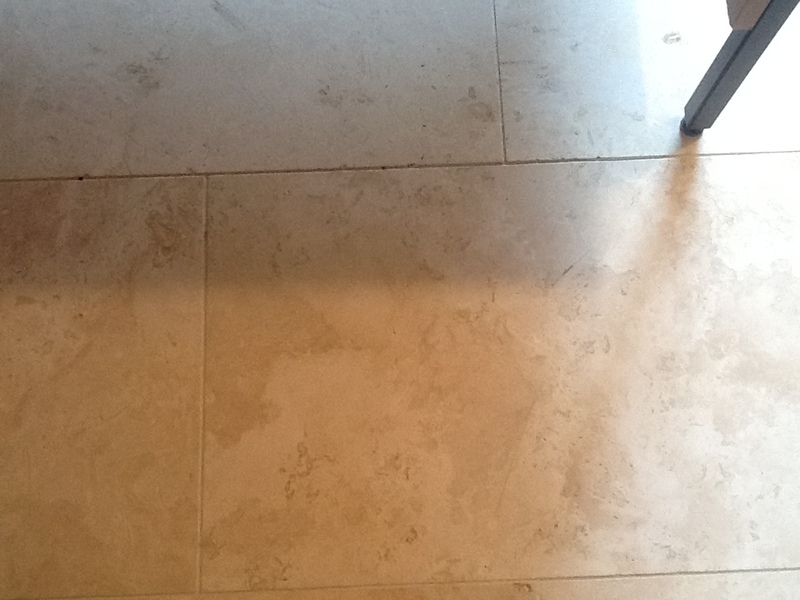 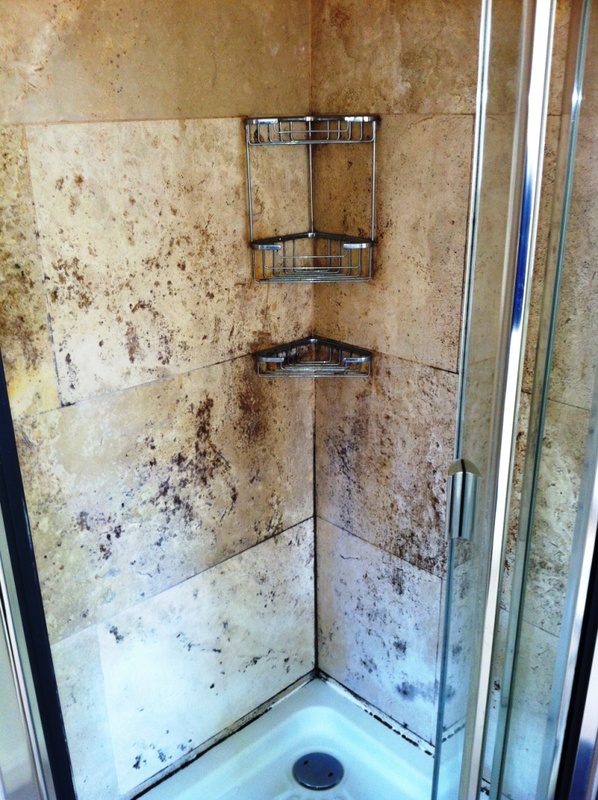 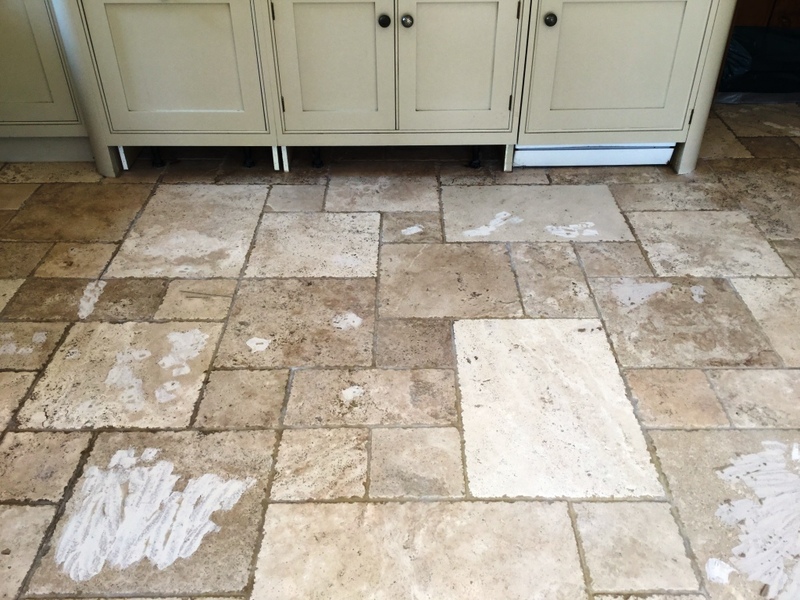 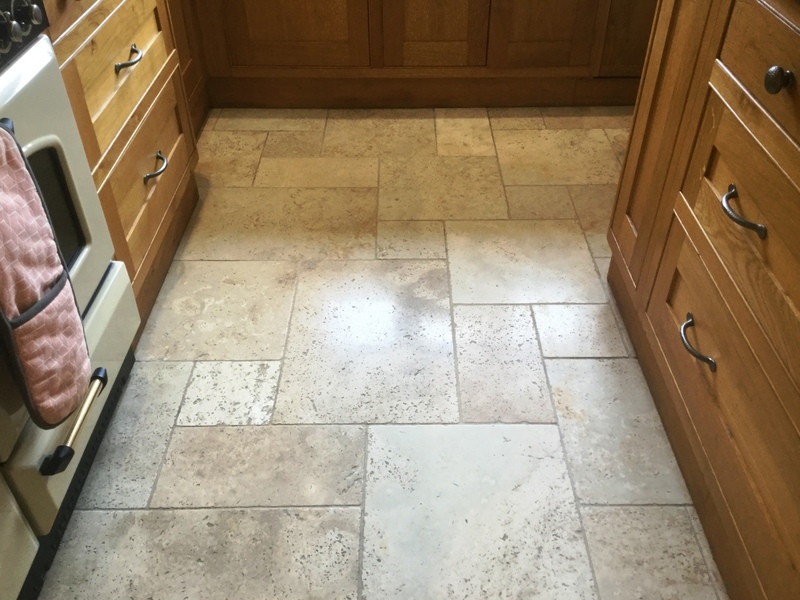 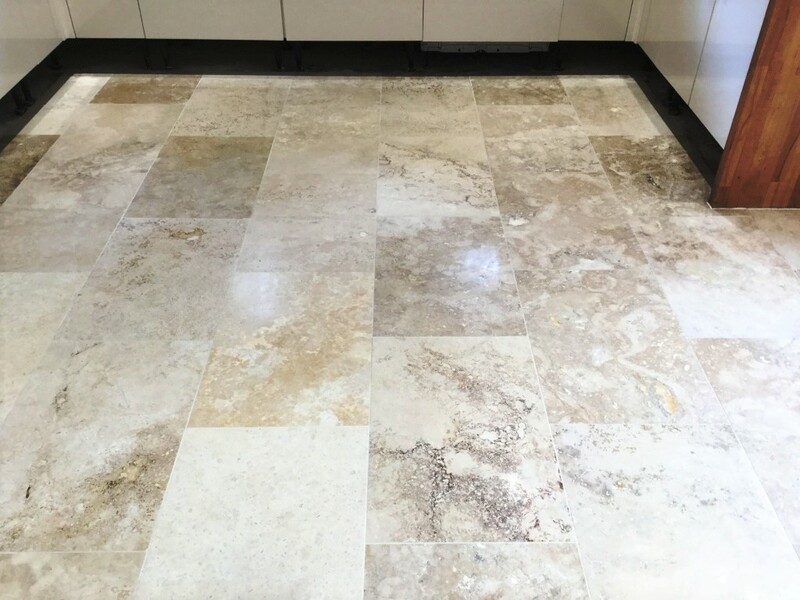 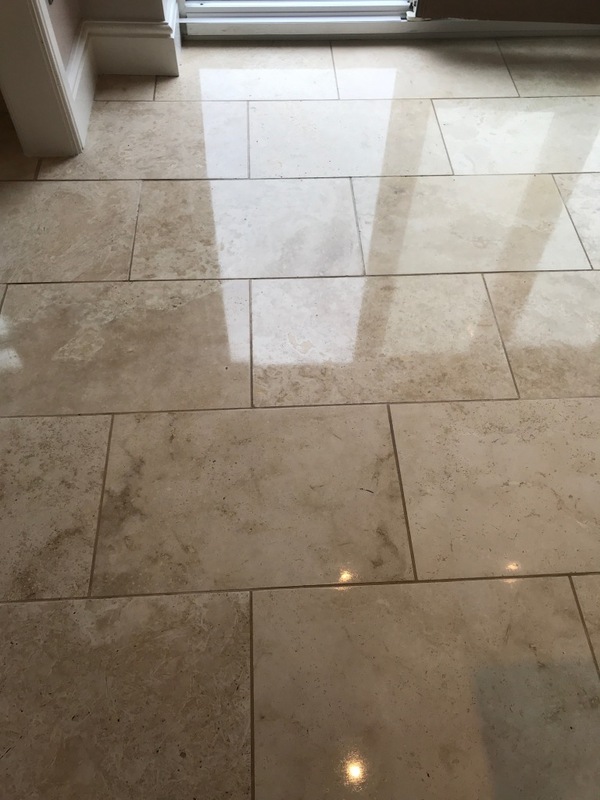 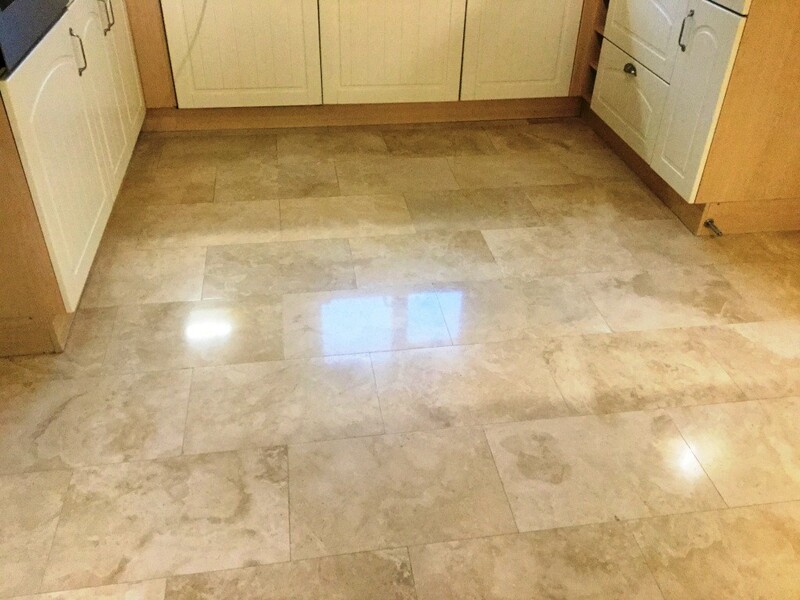 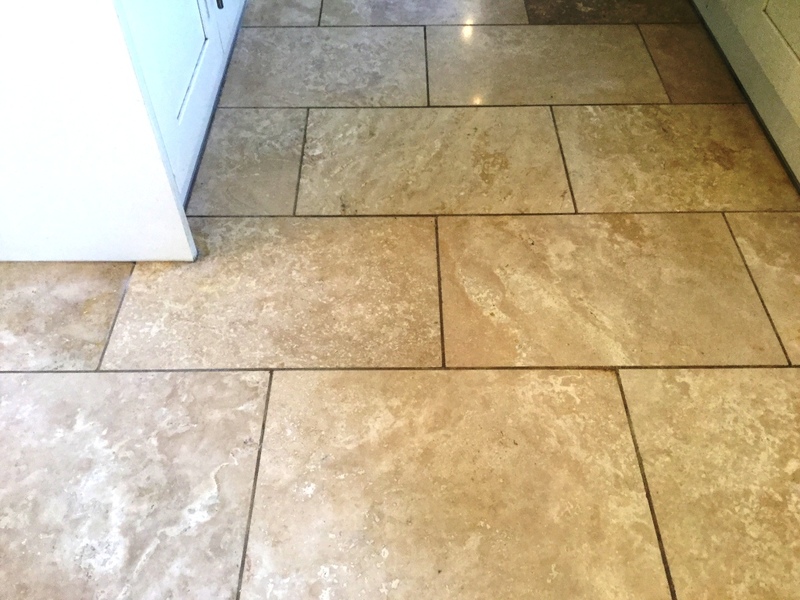 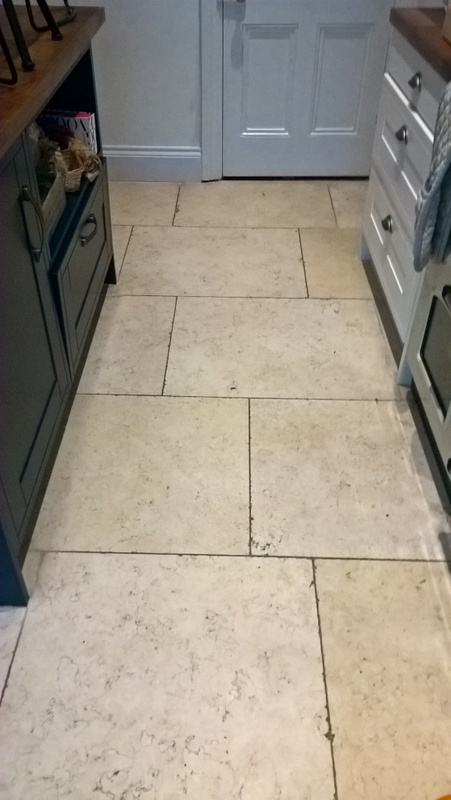 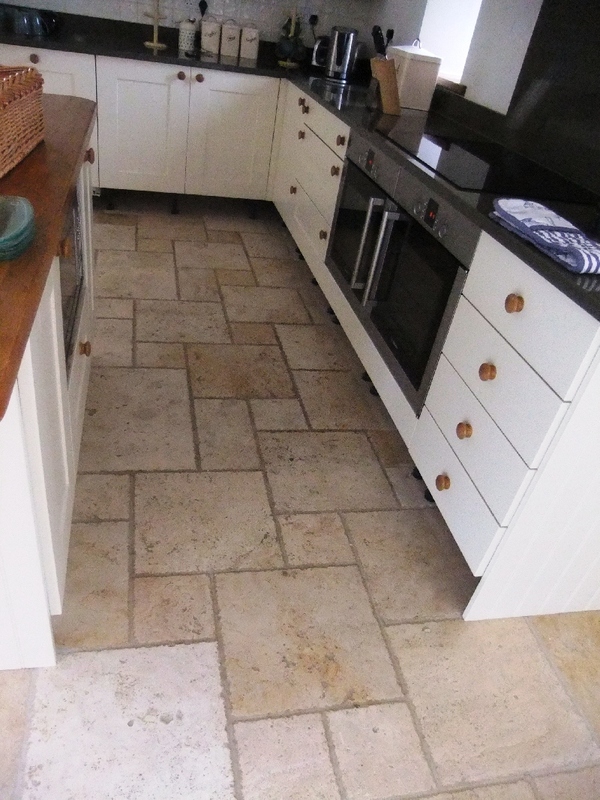 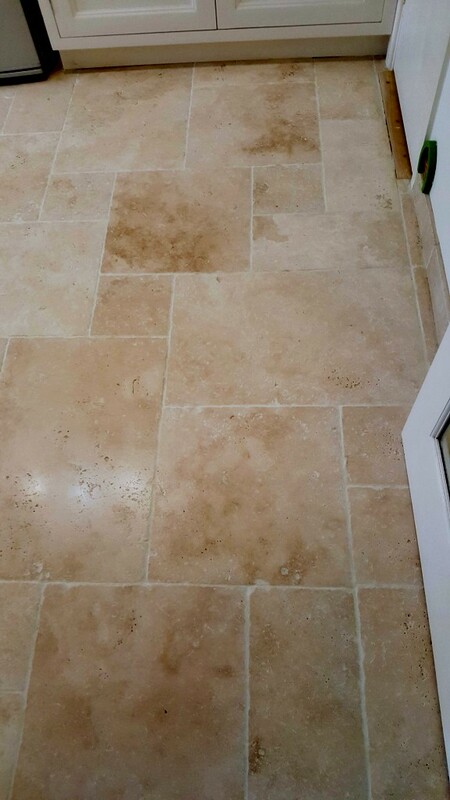 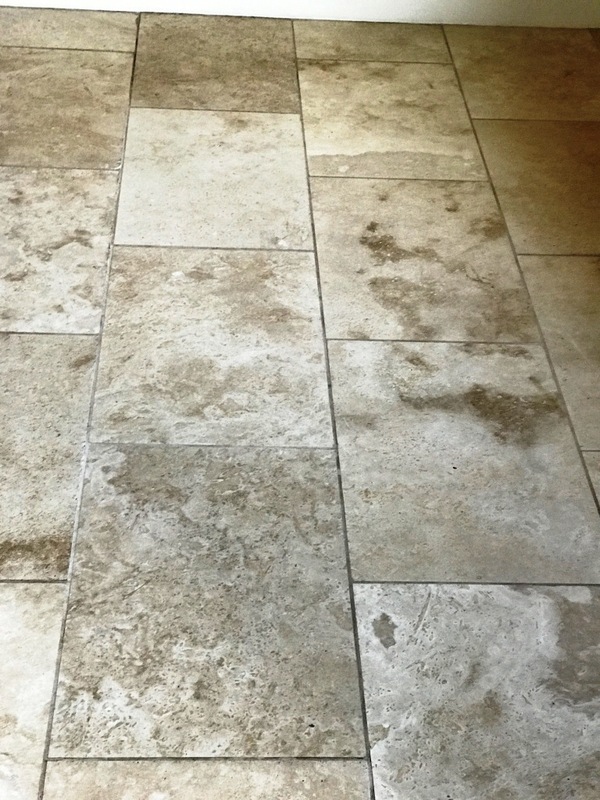 The photographs above show Travertine stone tiles on a kitchen floor before and after cleaning and sealing. 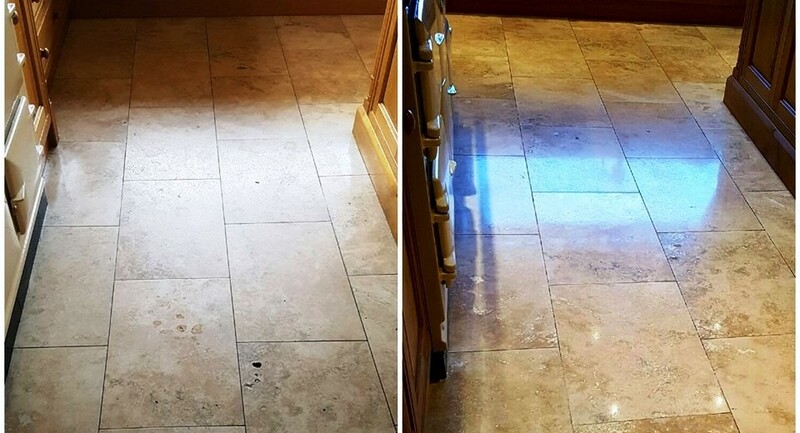 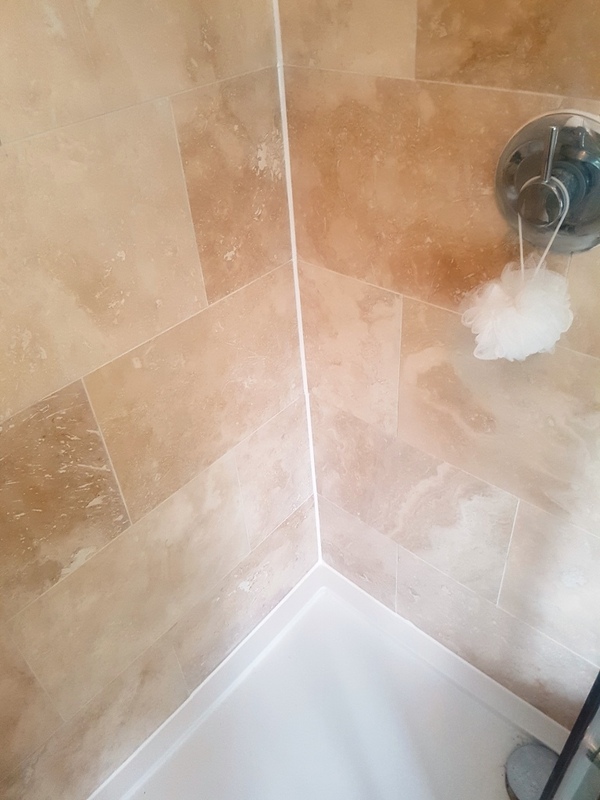 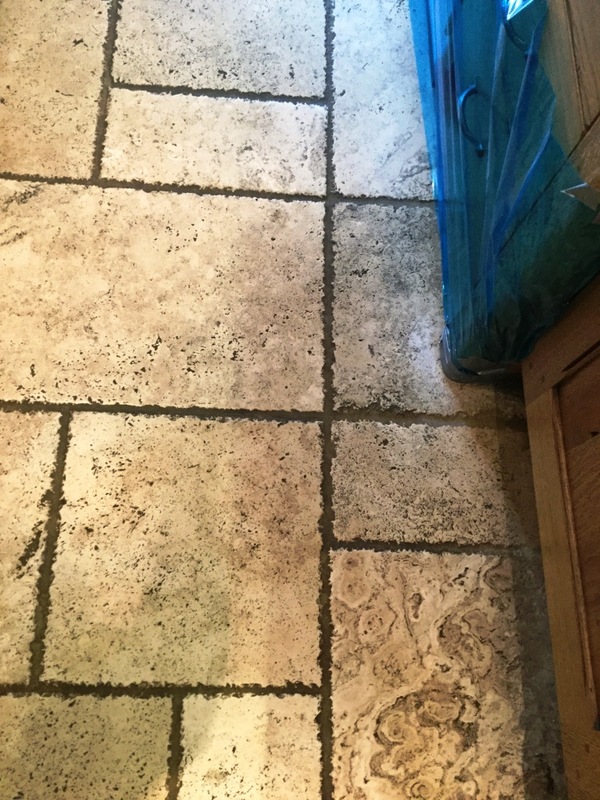 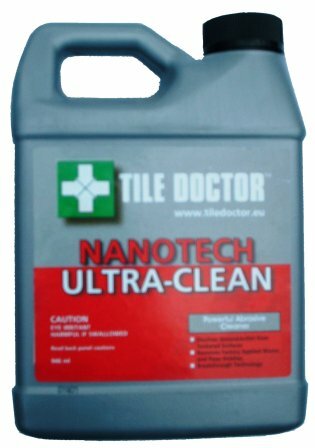 Use Tile Doctor Pro-Clean Stone, Tile & Grout cleaner to effectively clean tiles, highly effective against Wax Sealers, Grease, Grime and general dirt build up. 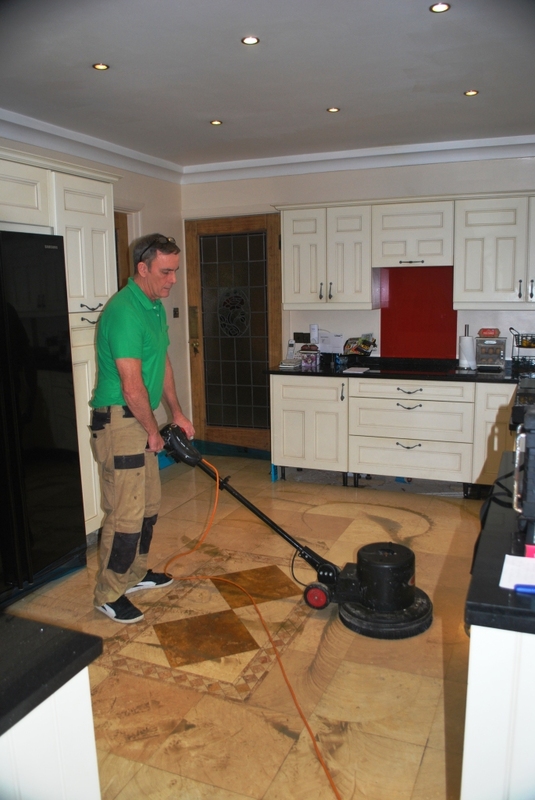 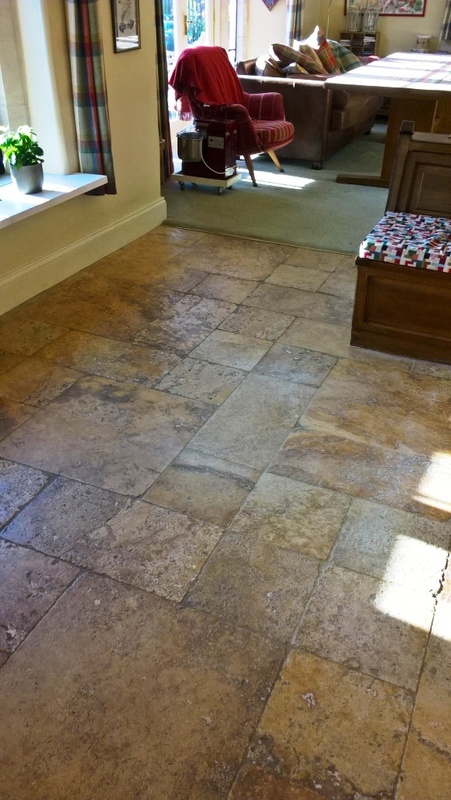 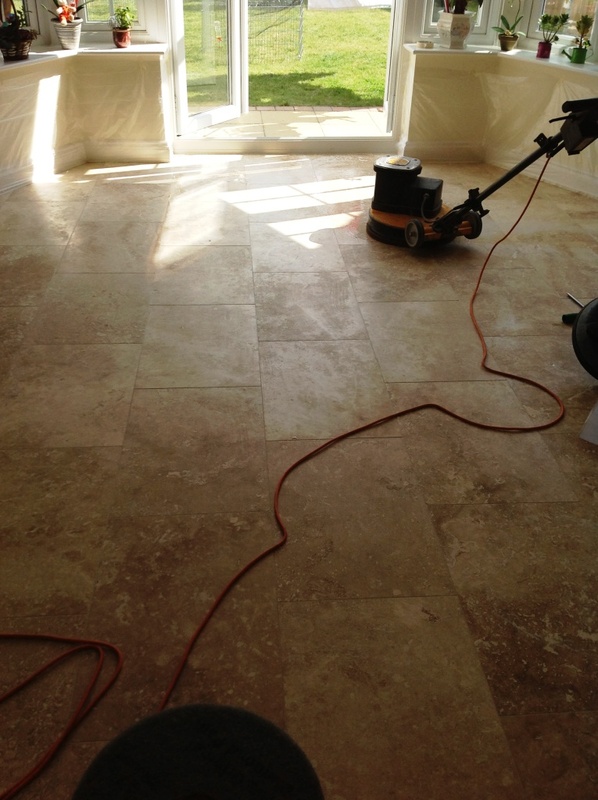 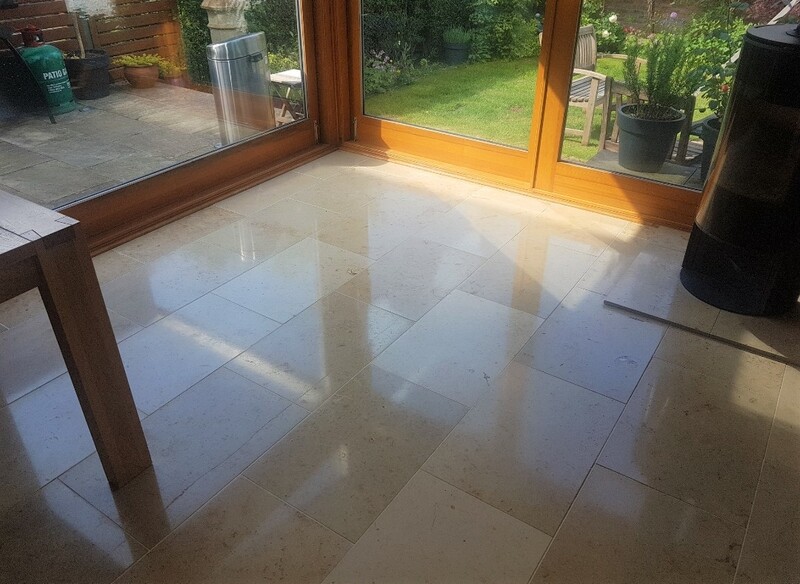 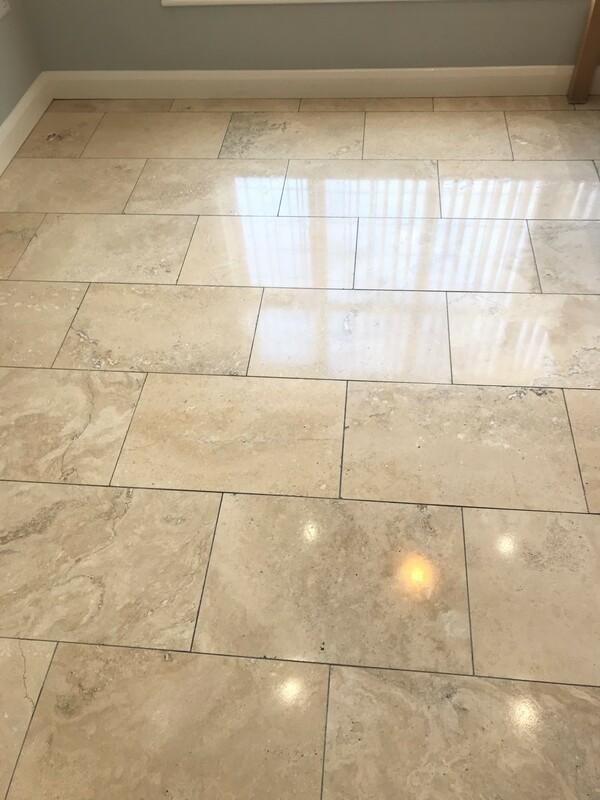 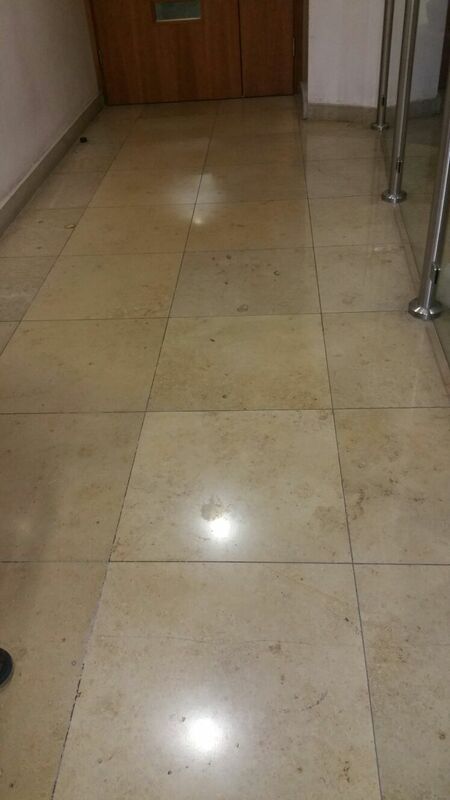 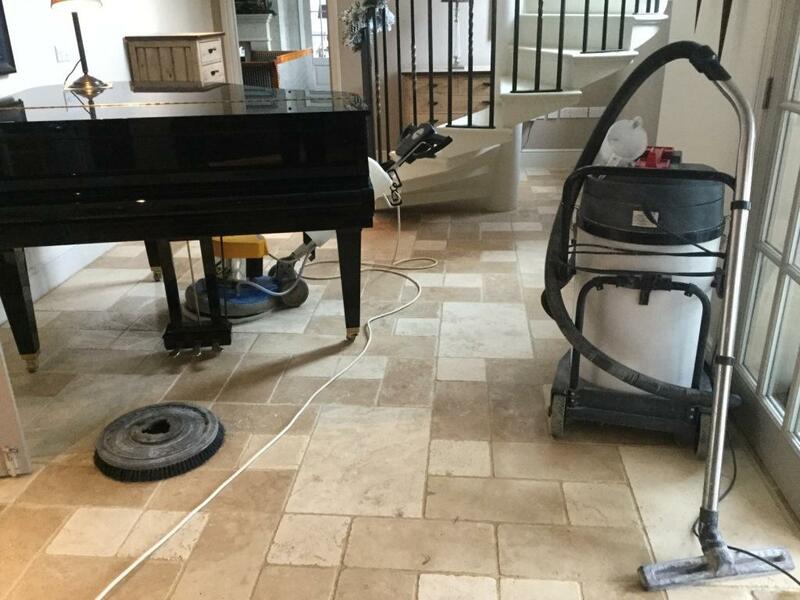 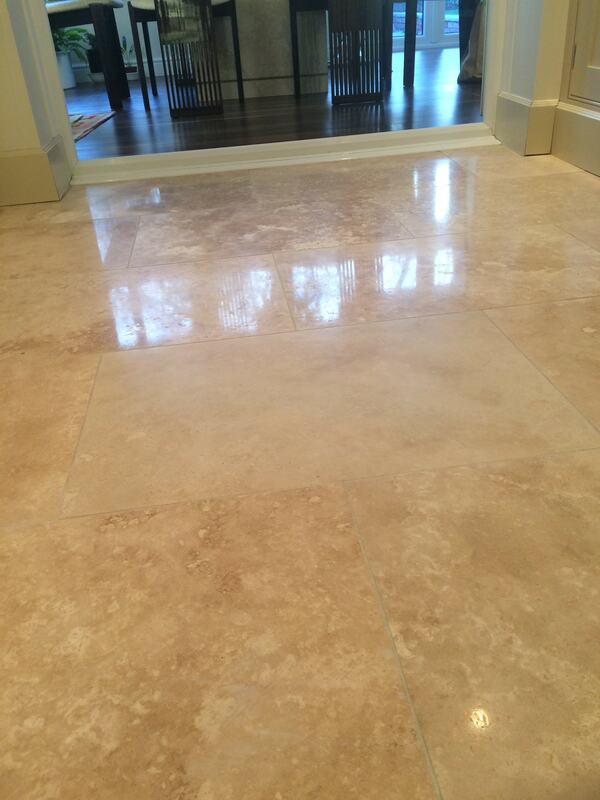 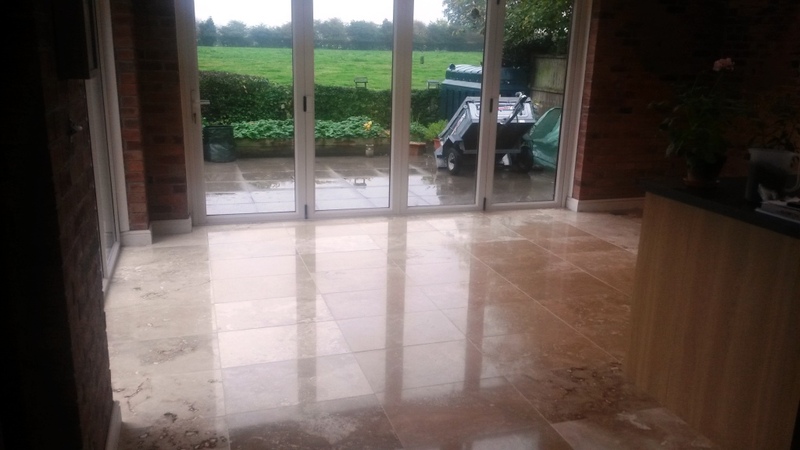 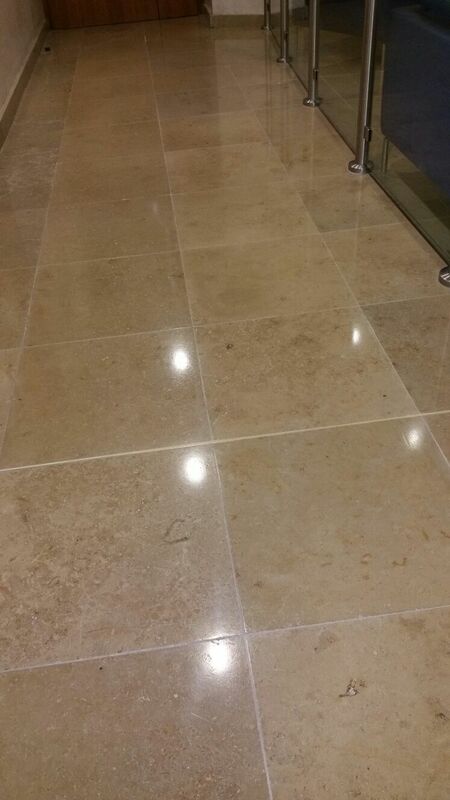 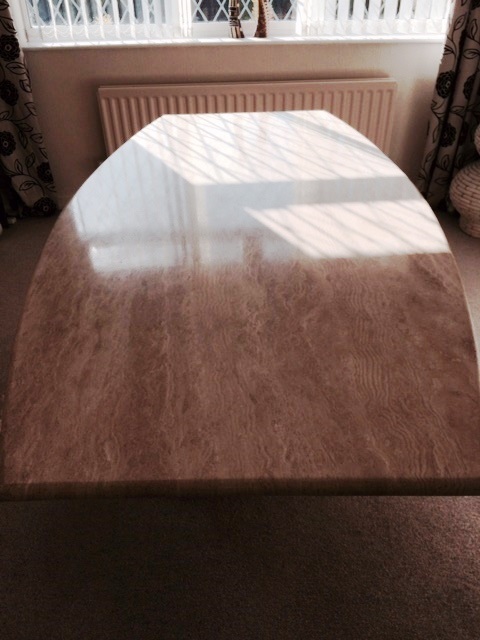 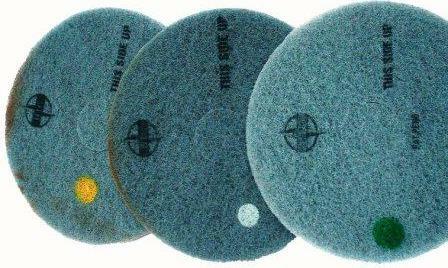 To restore a deep polish on Travertine use Burnishing Pads in conjunction with a buffing machine. 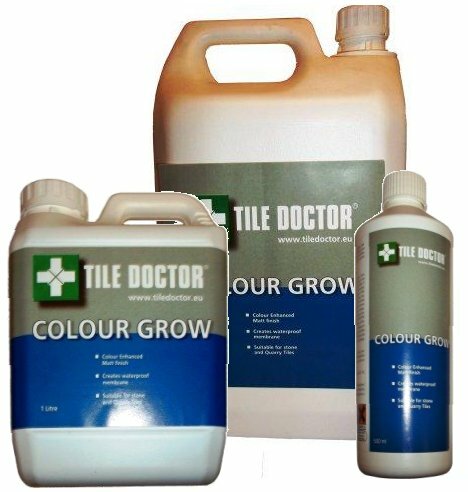 Apply Tile Doctor Colour Grow sealer using a paintpad applicator and tray. 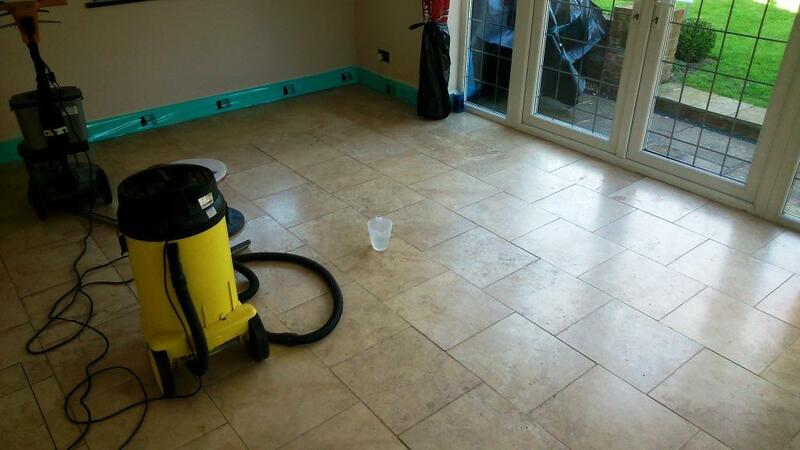 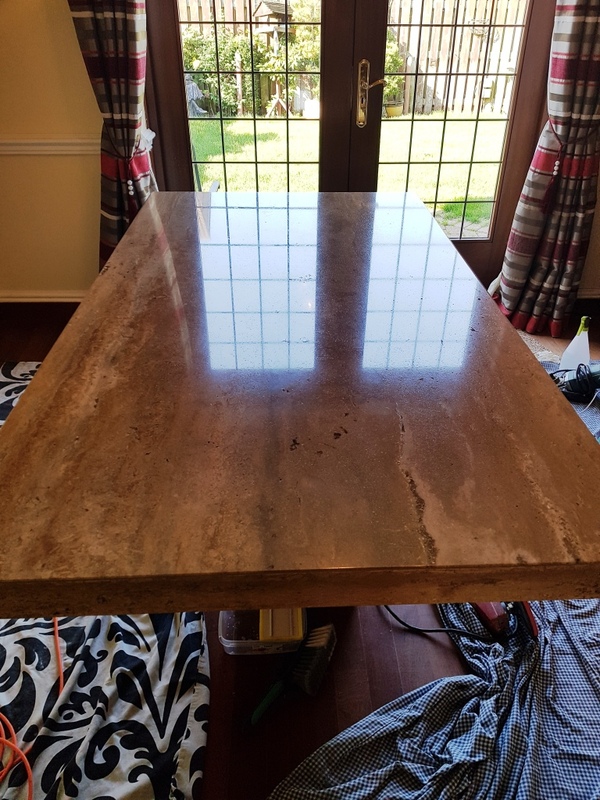 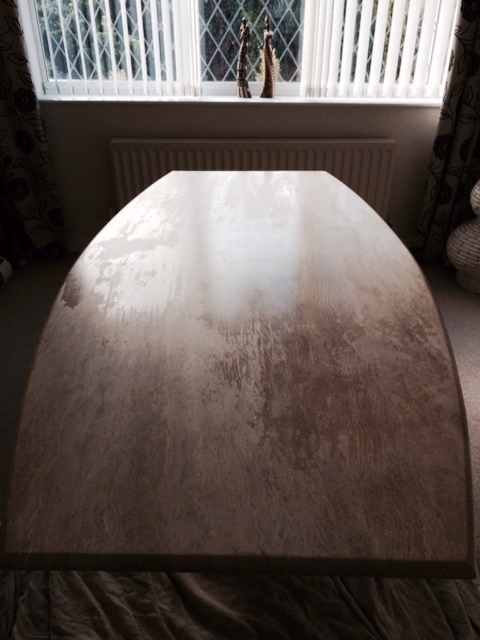 2 coats of sealant should be sufficent, always allow to dry before applying further coats. 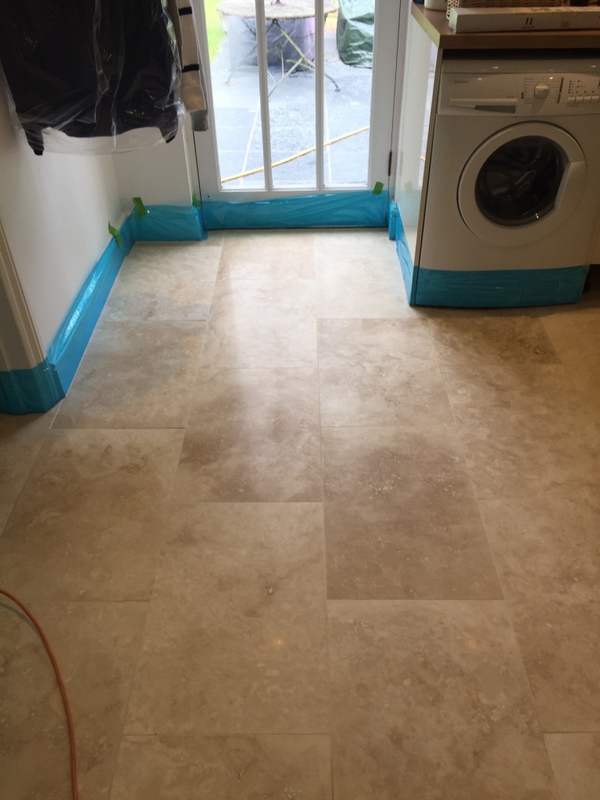 Use a water test to achieve full cure sealability (F.C.S.). 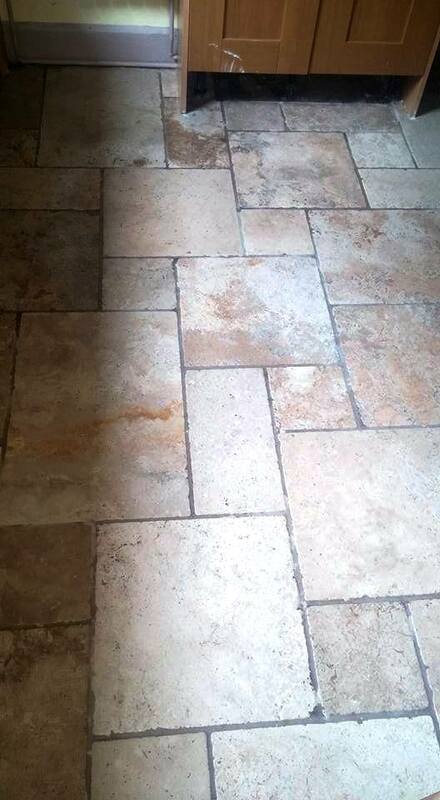 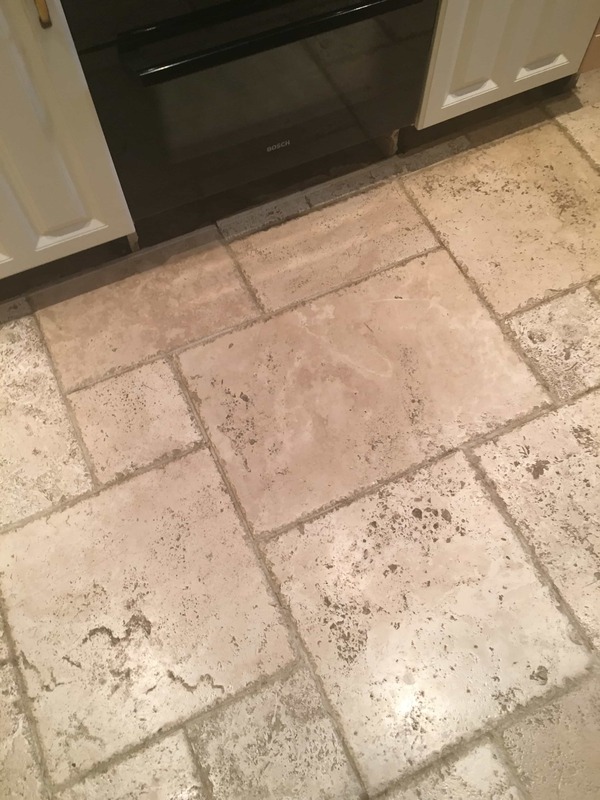 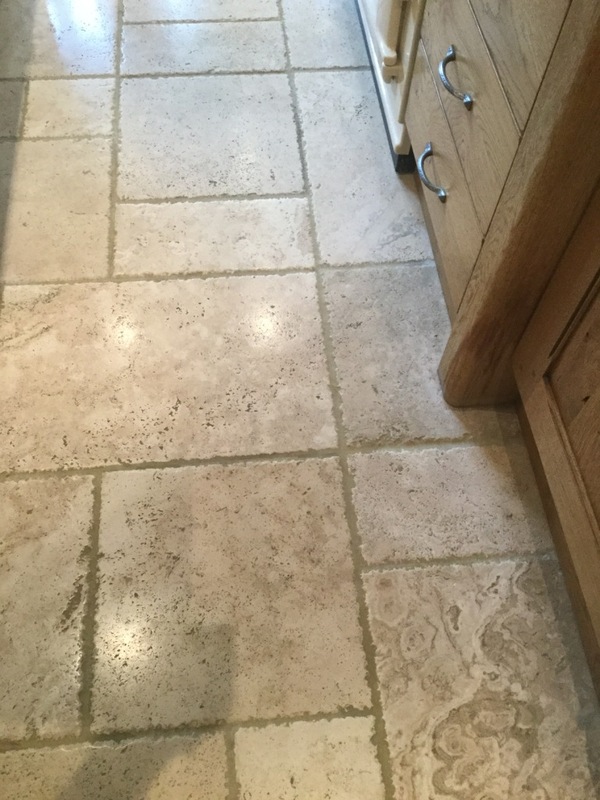 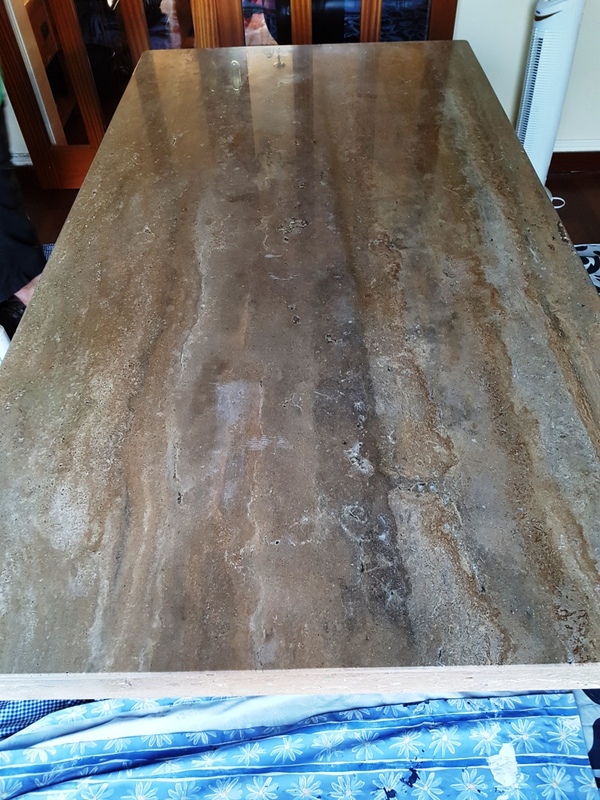 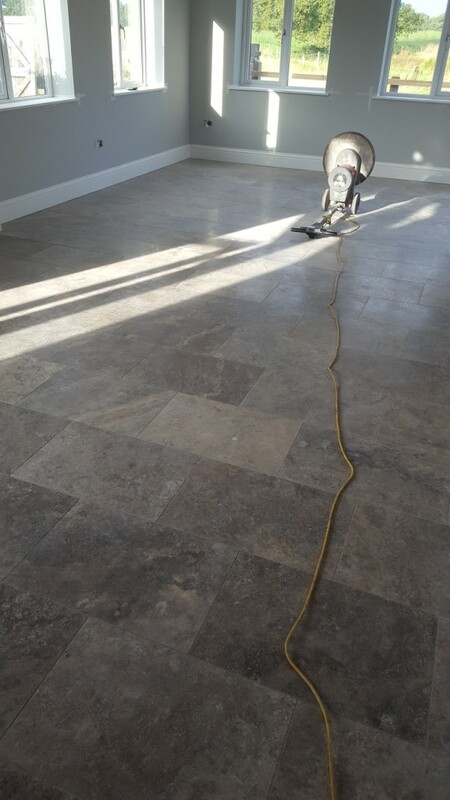 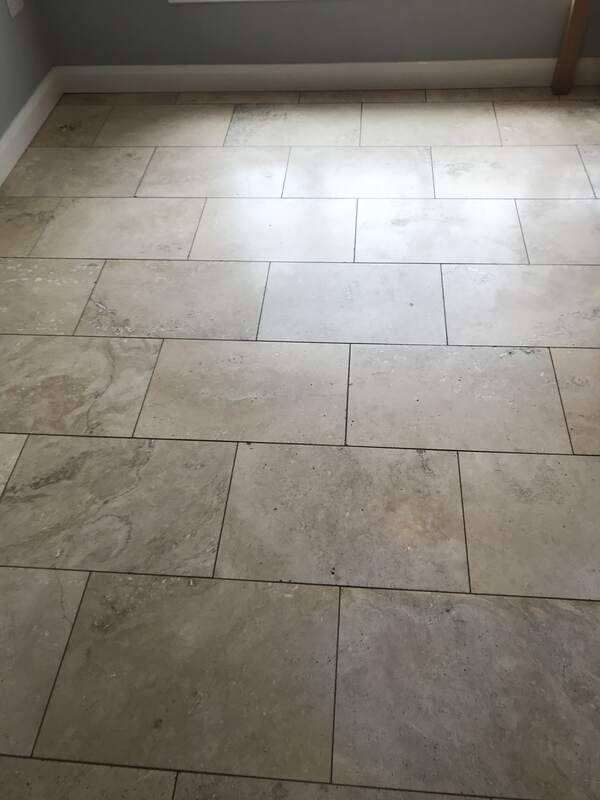 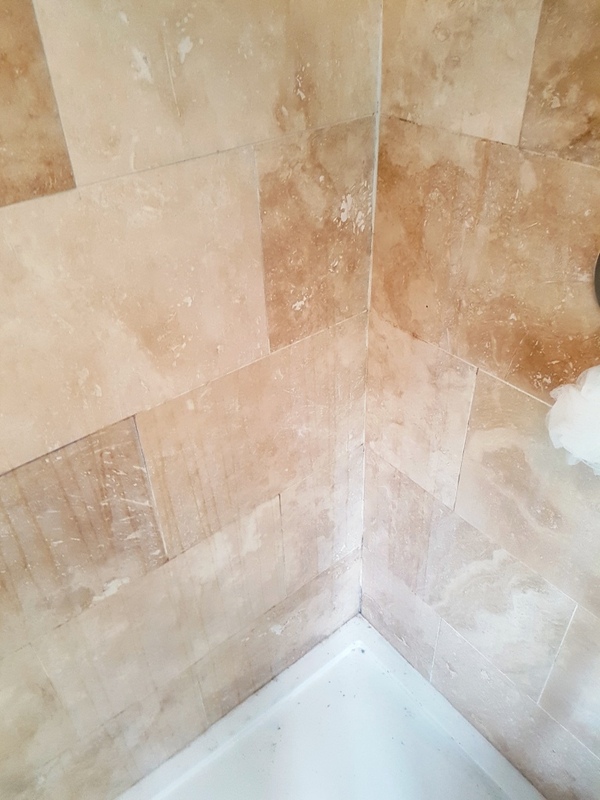 Travertine Problem? 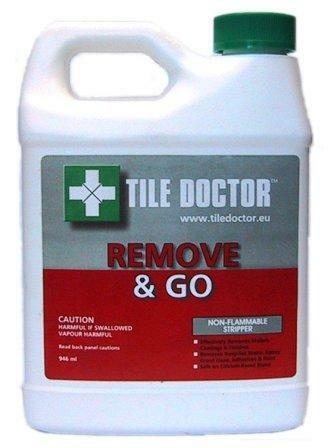 Click here to Ask Tile Doctor for advice.